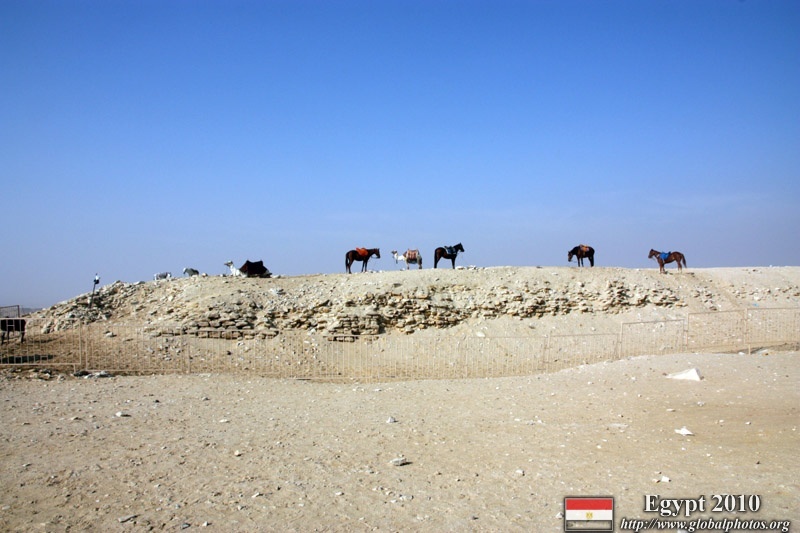 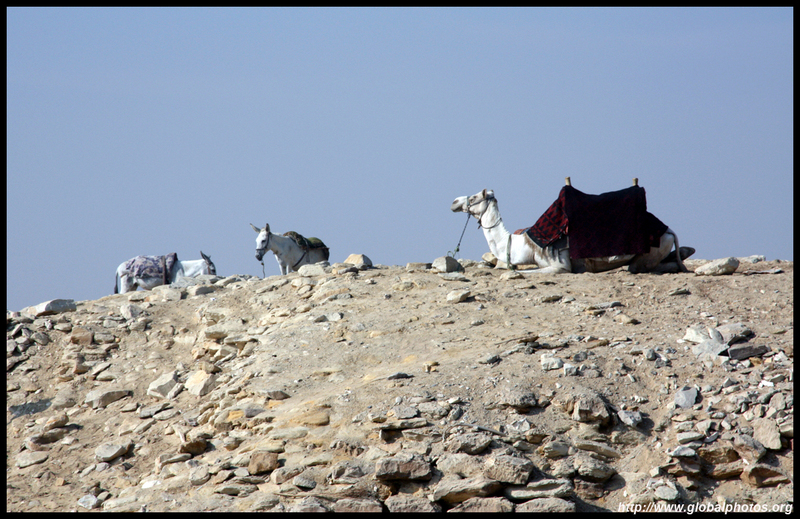 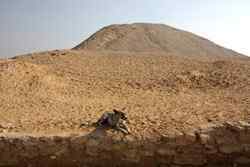 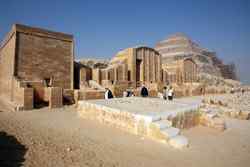 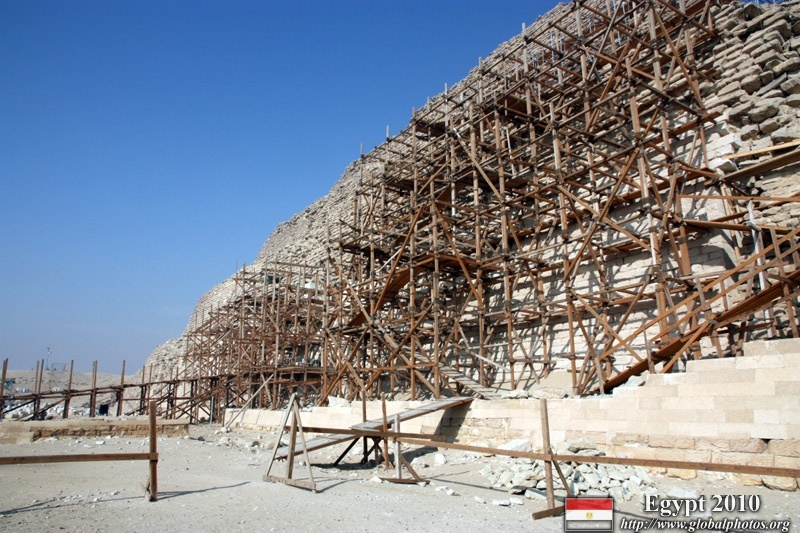 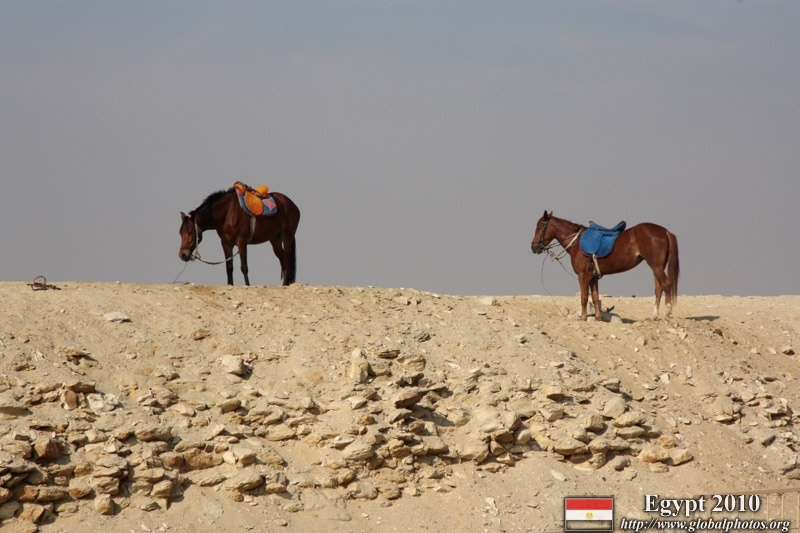 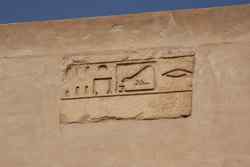 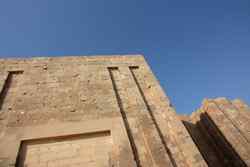 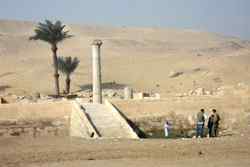 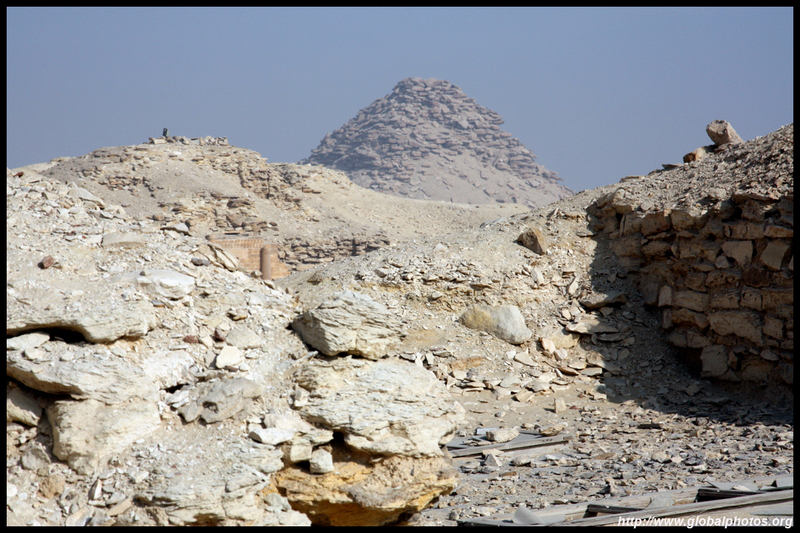 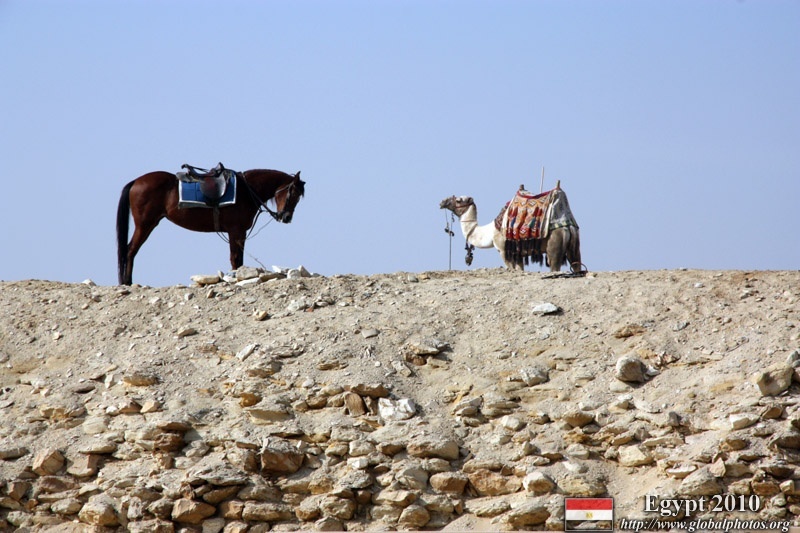 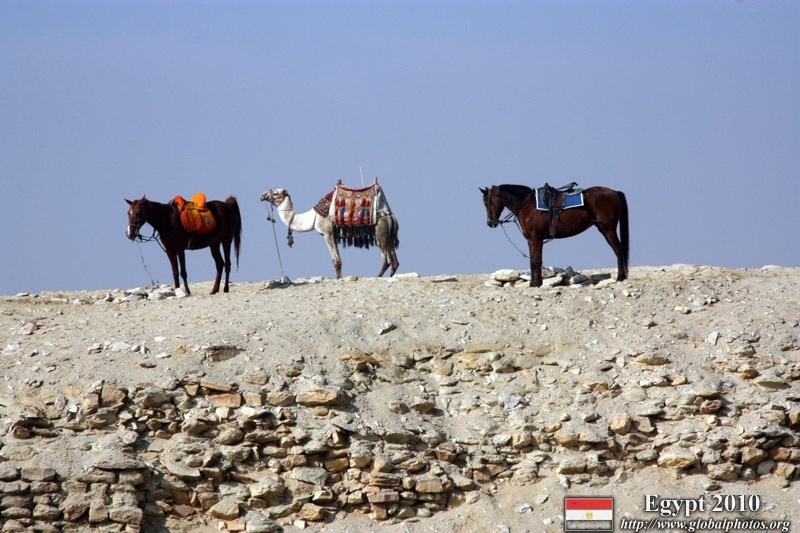 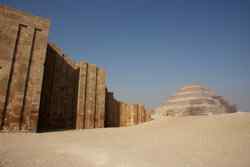 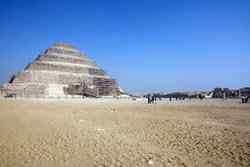 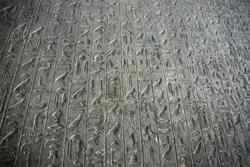 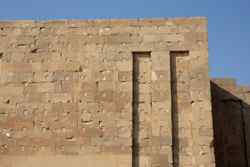 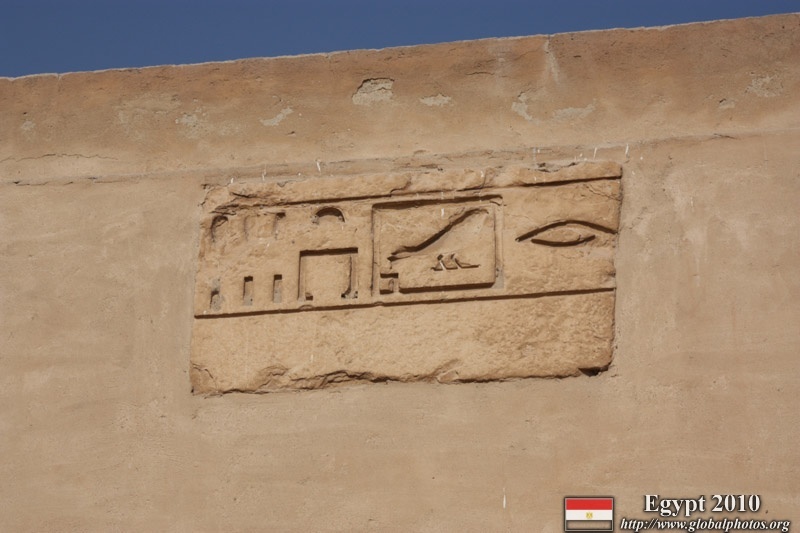 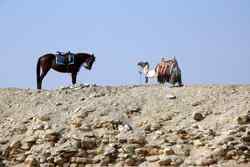 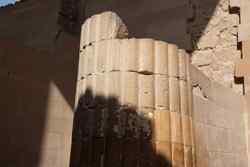 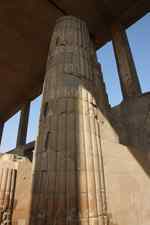 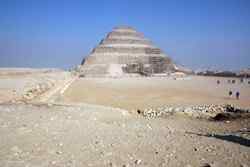 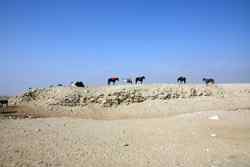 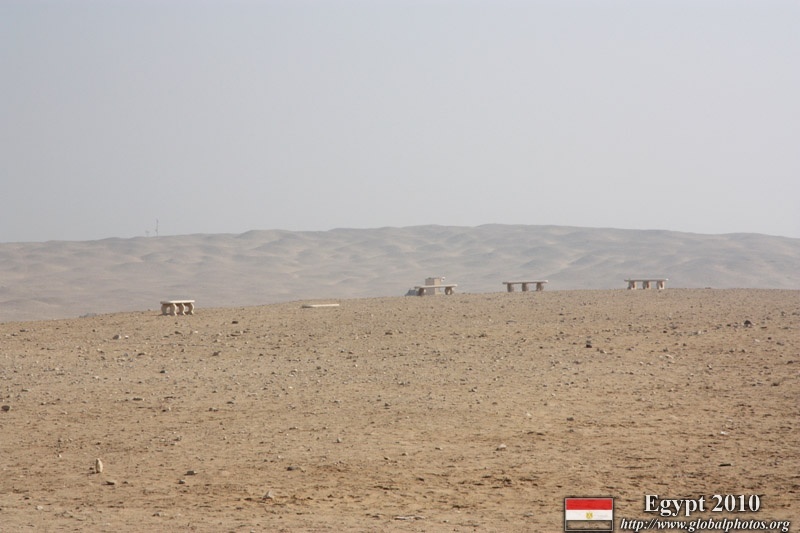 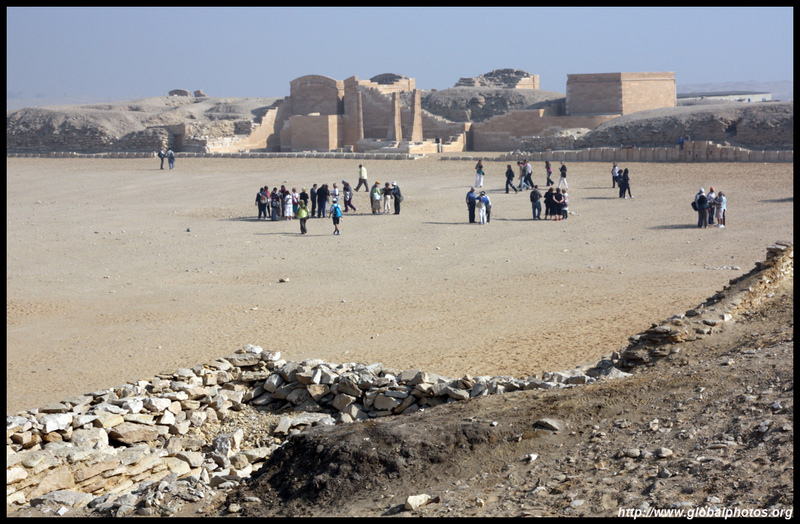 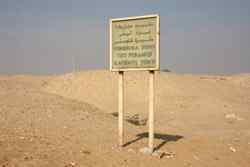 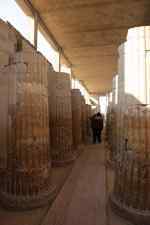 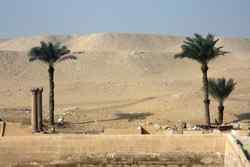 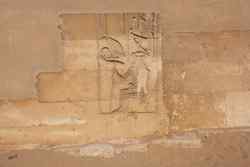 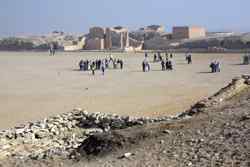 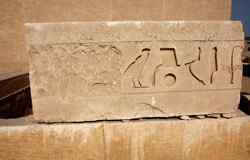 Saqqara is not a long way from Cairo by road. 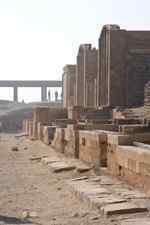 Along the way, I could see the canals built to move the materials to this part of the country to construct these structures. 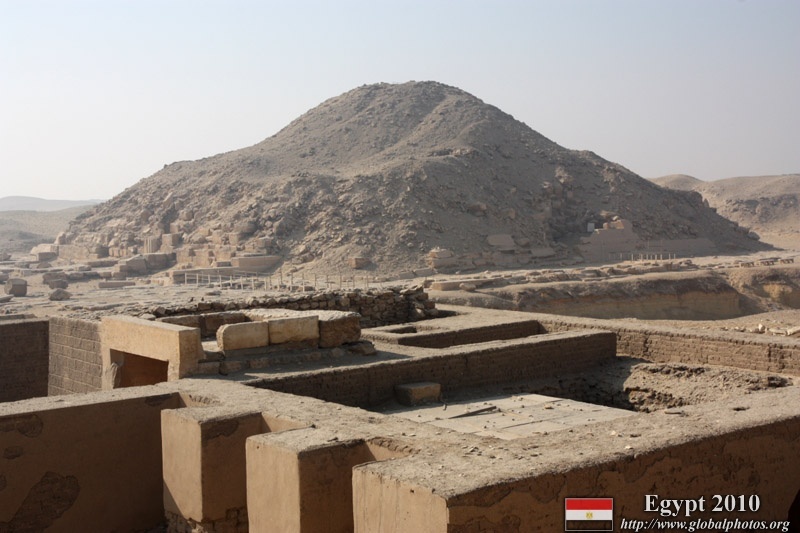 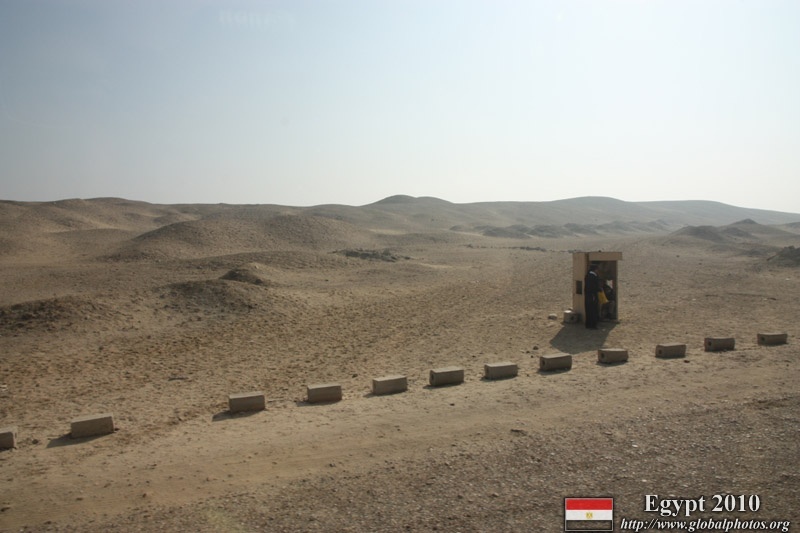 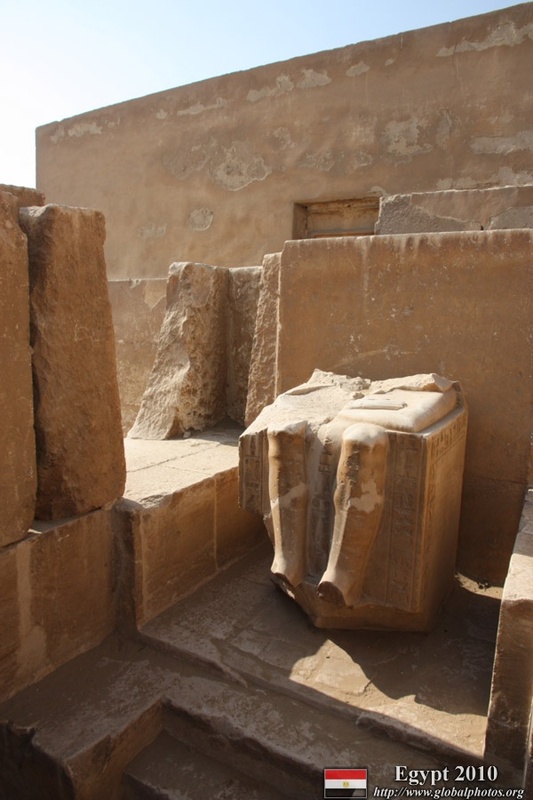 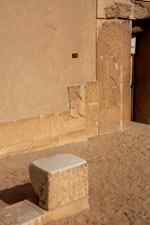 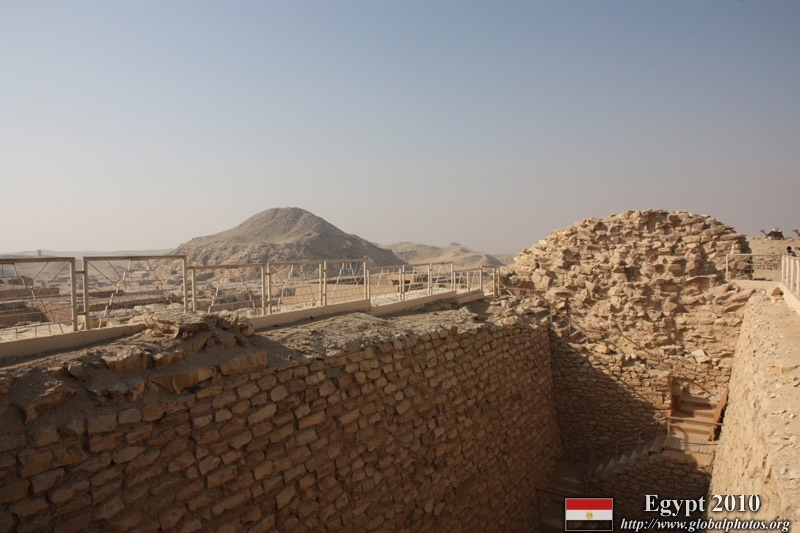 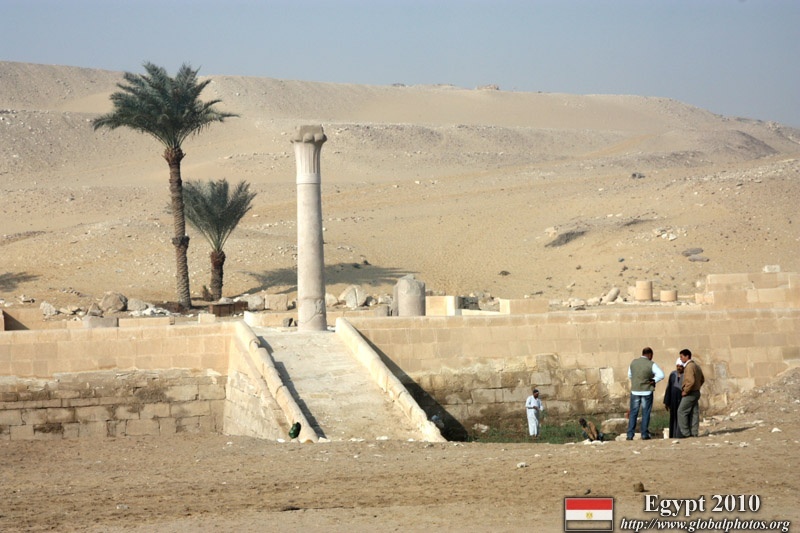 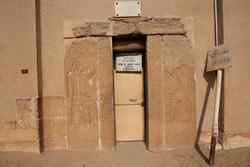 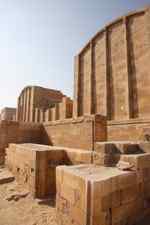 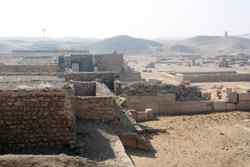 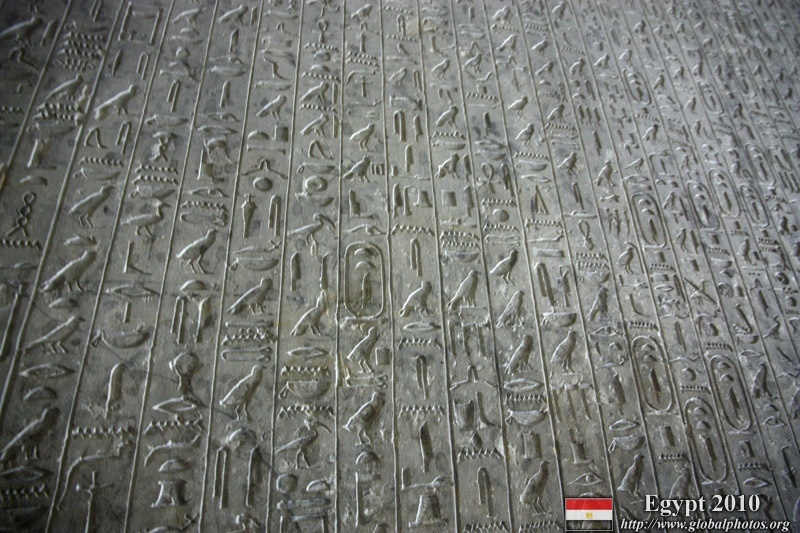 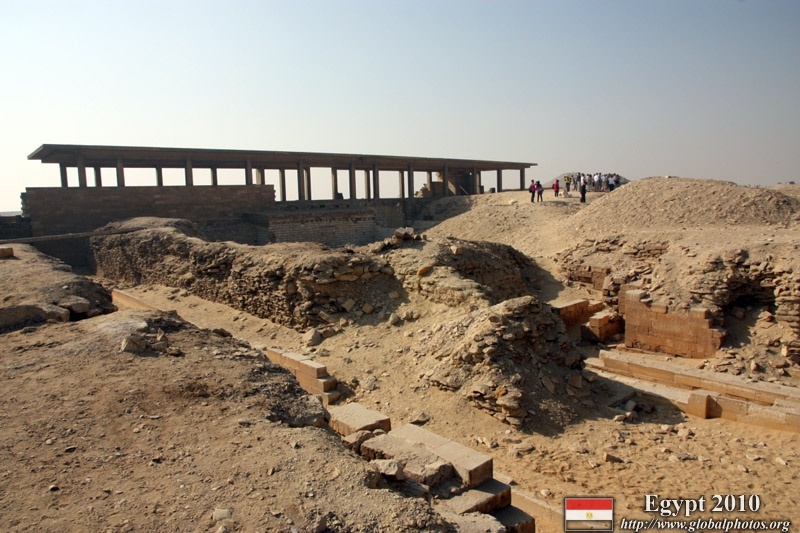 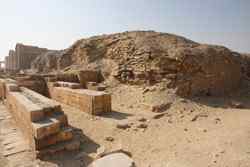 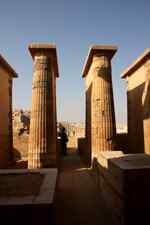 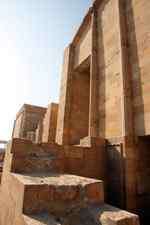 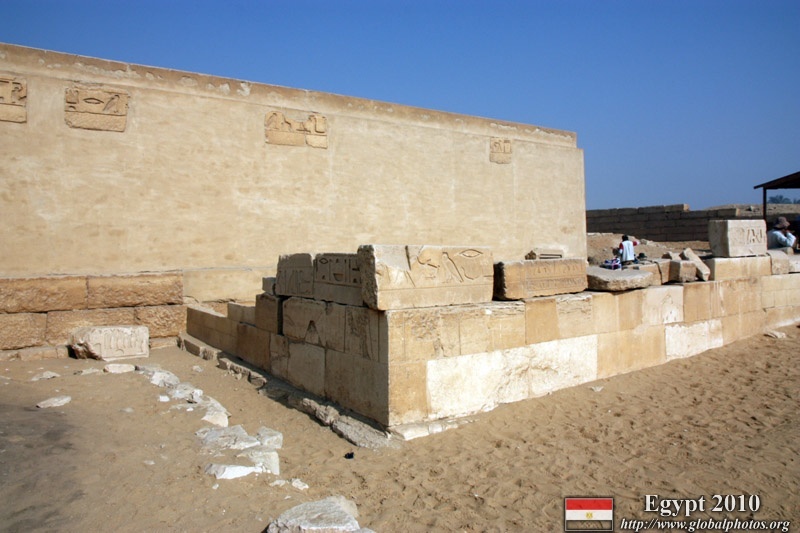 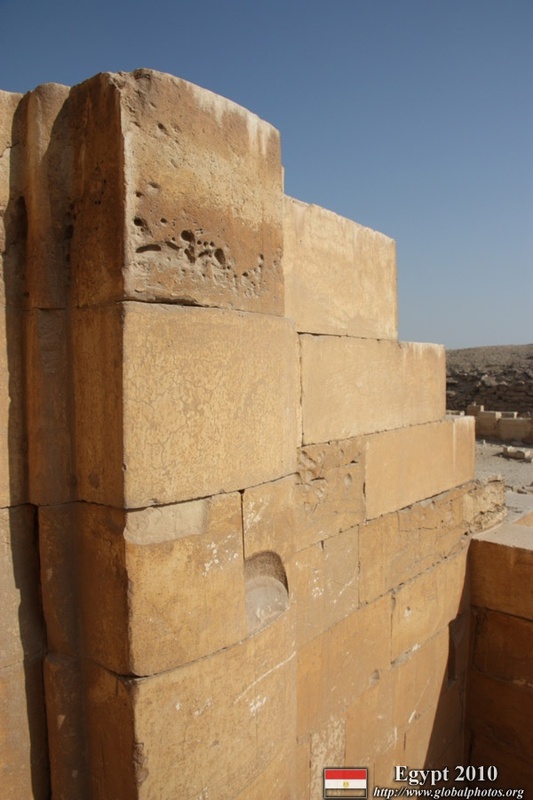 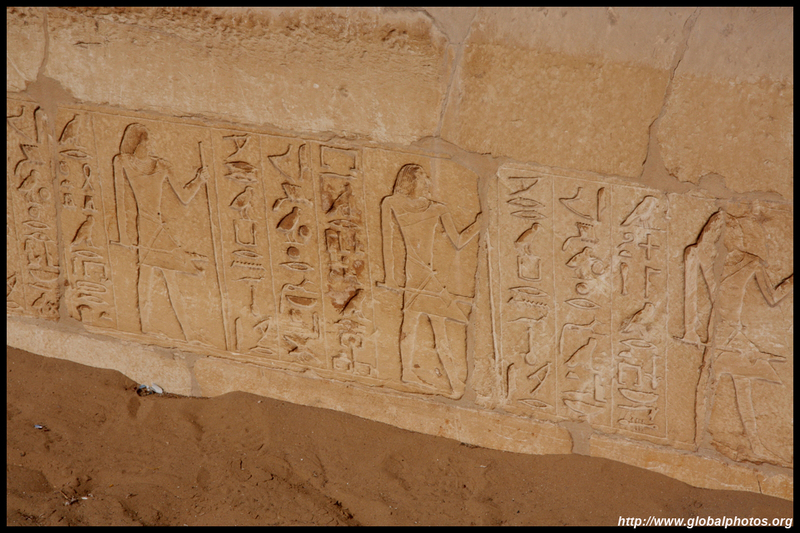 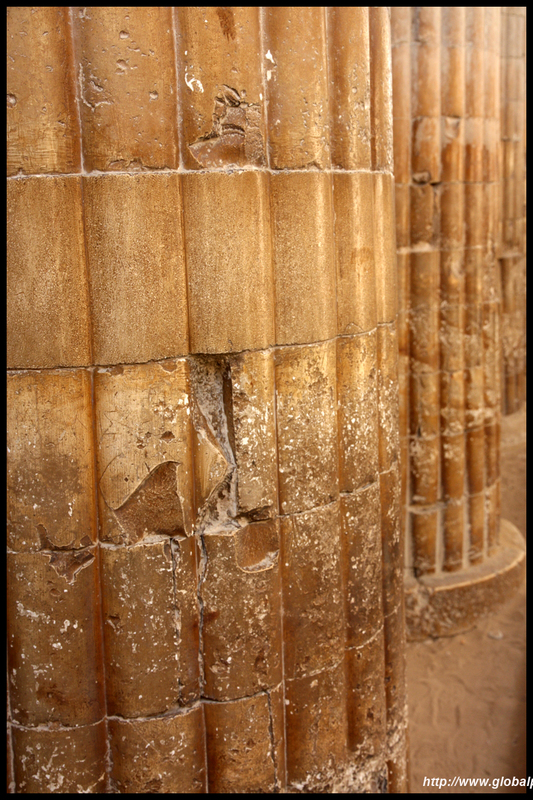 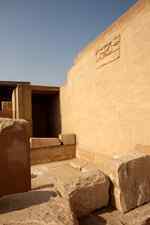 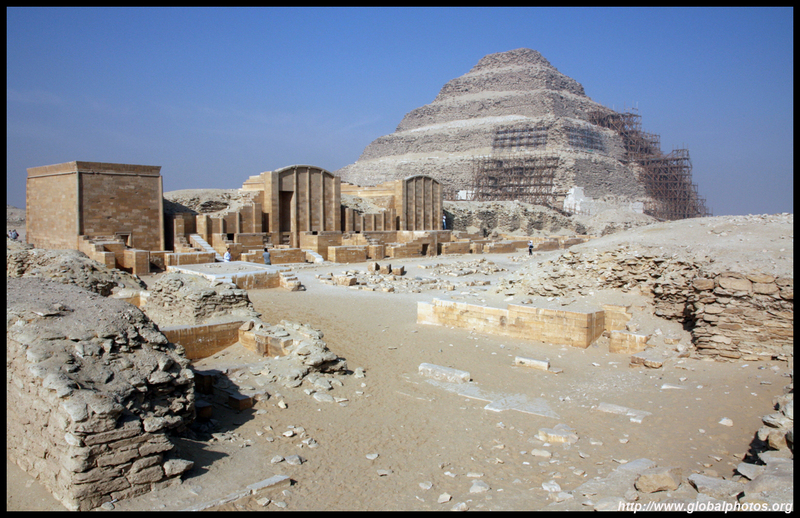 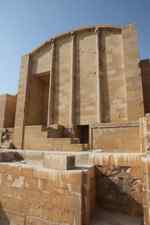 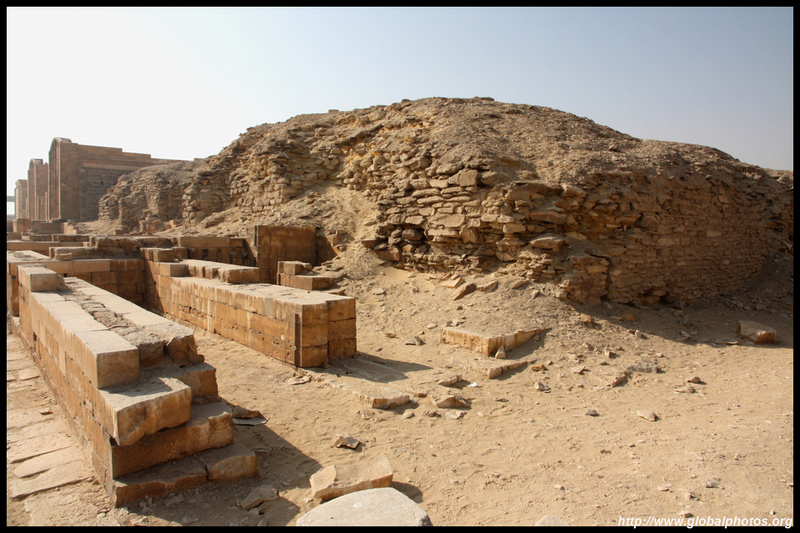 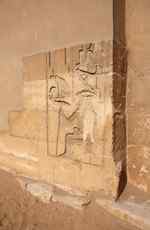 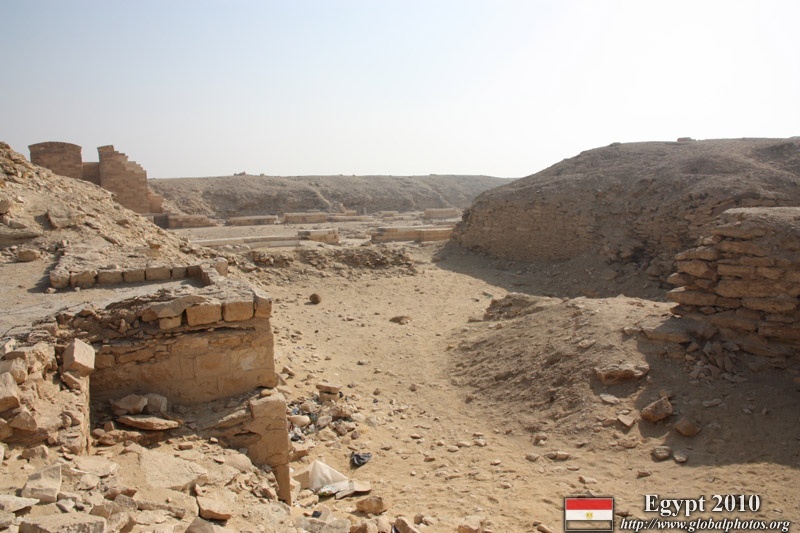 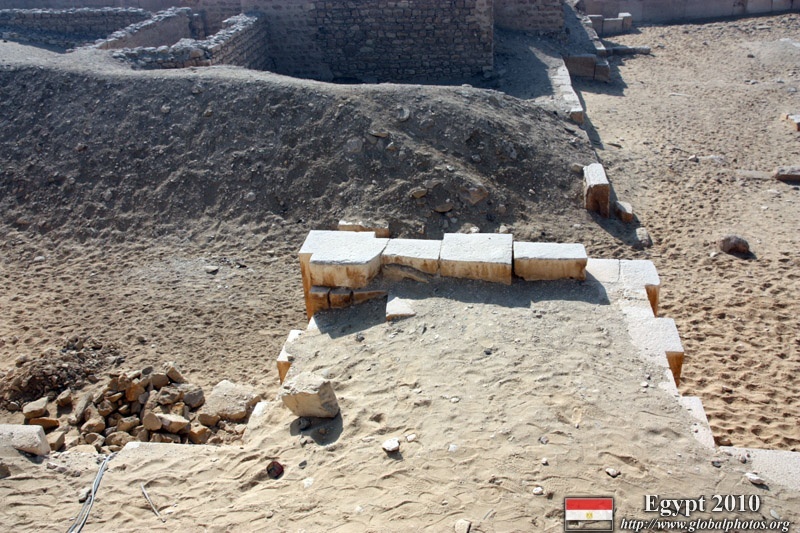 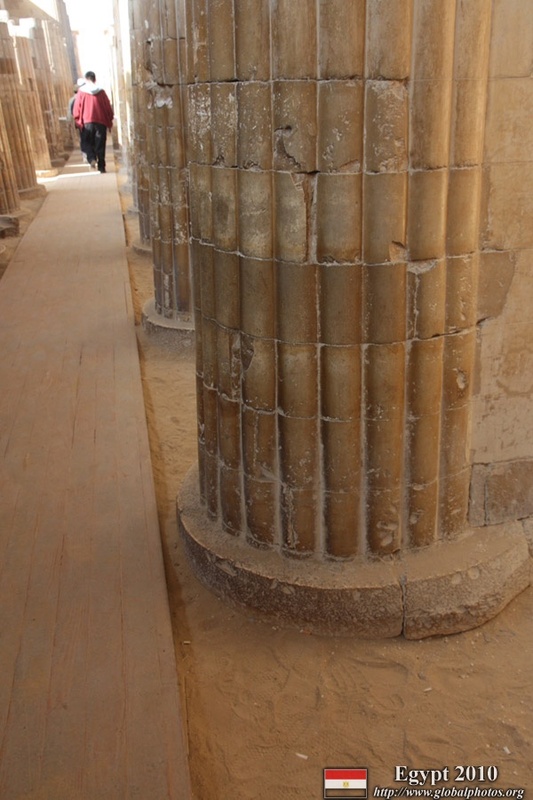 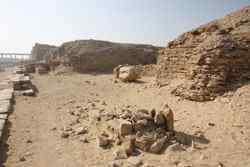 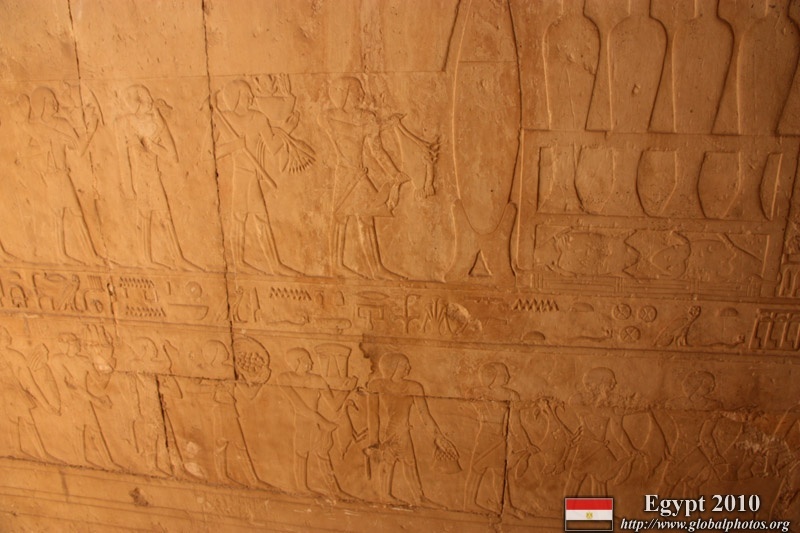 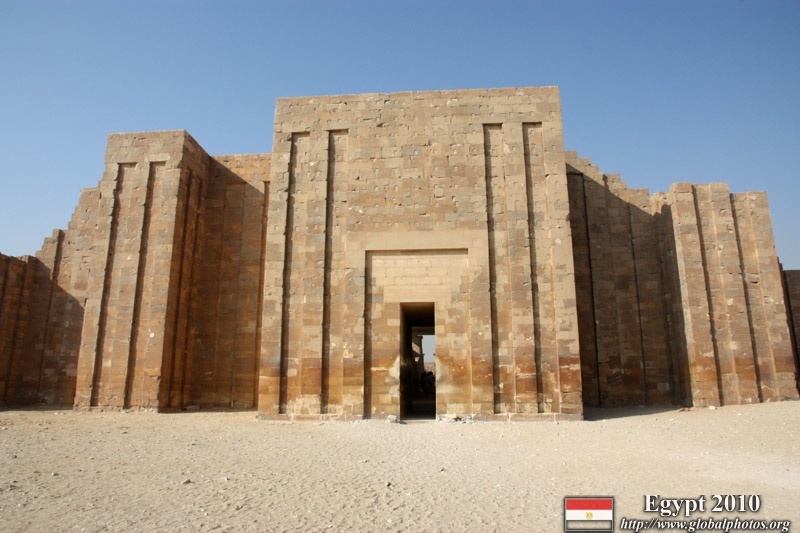 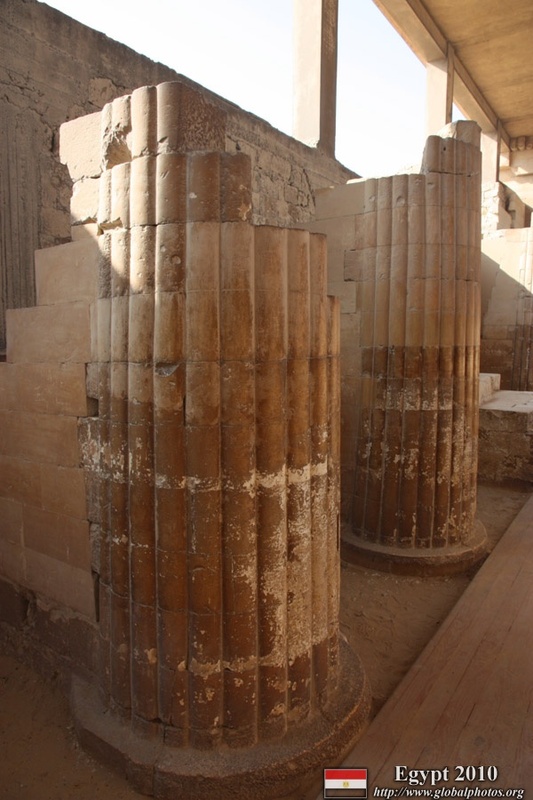 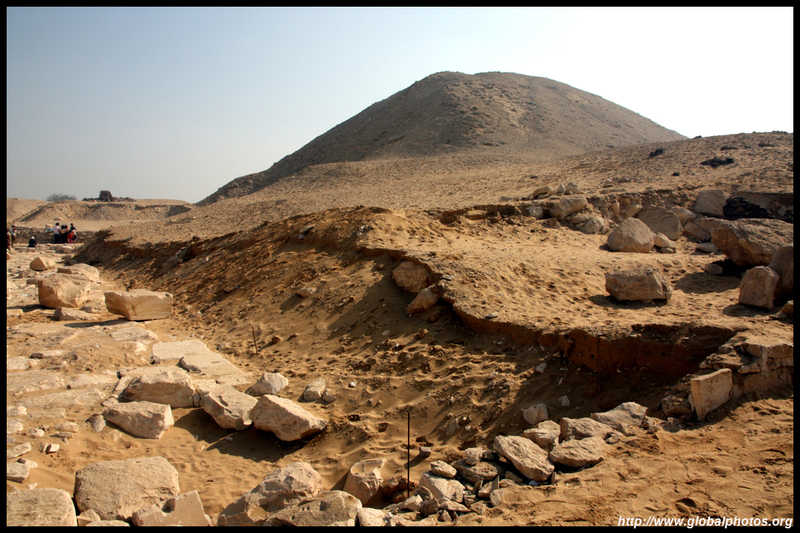 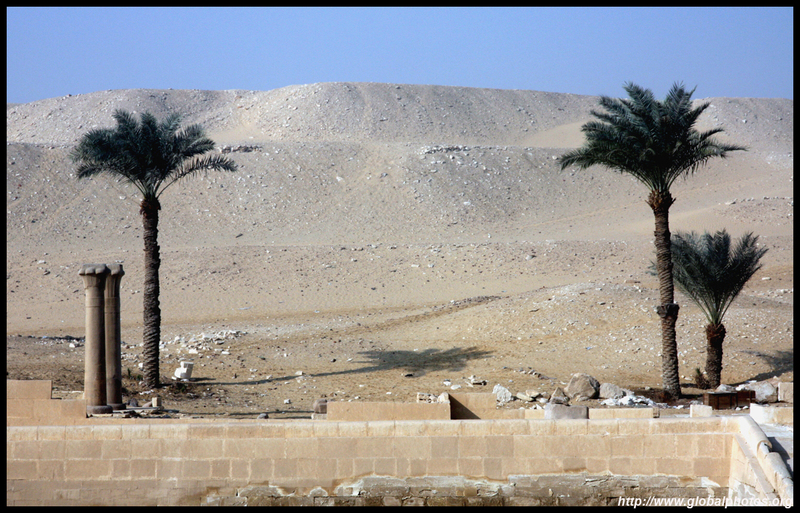 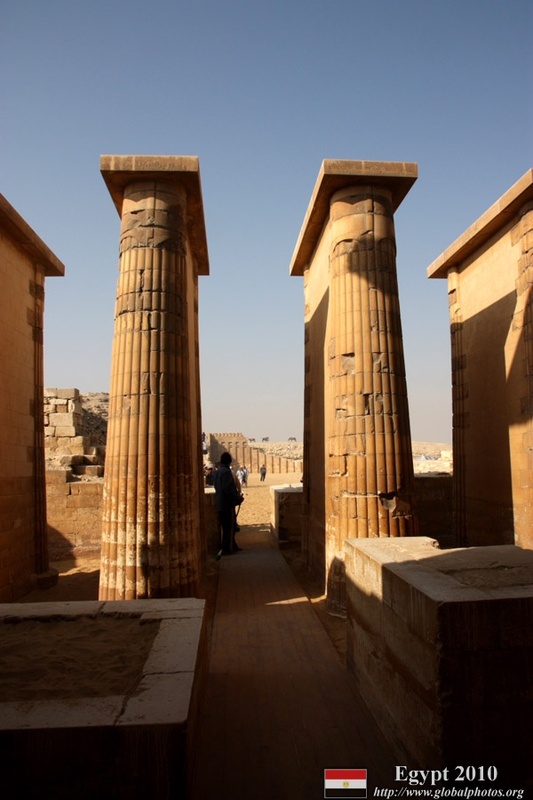 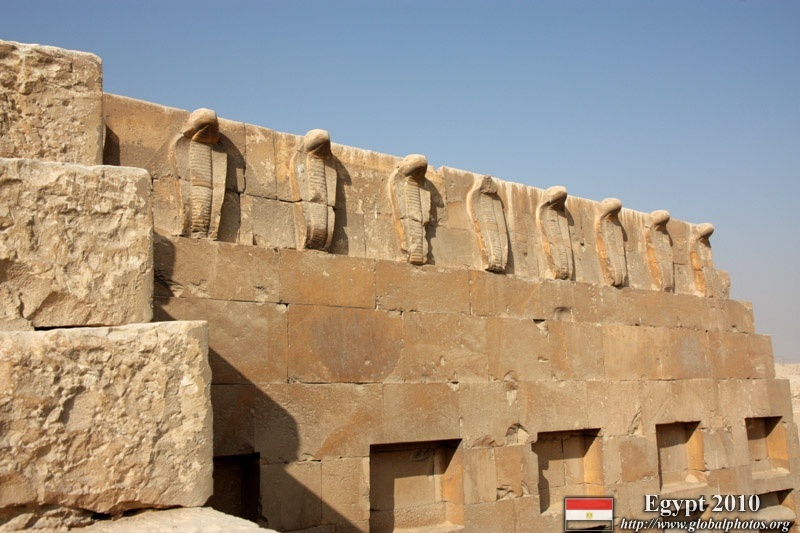 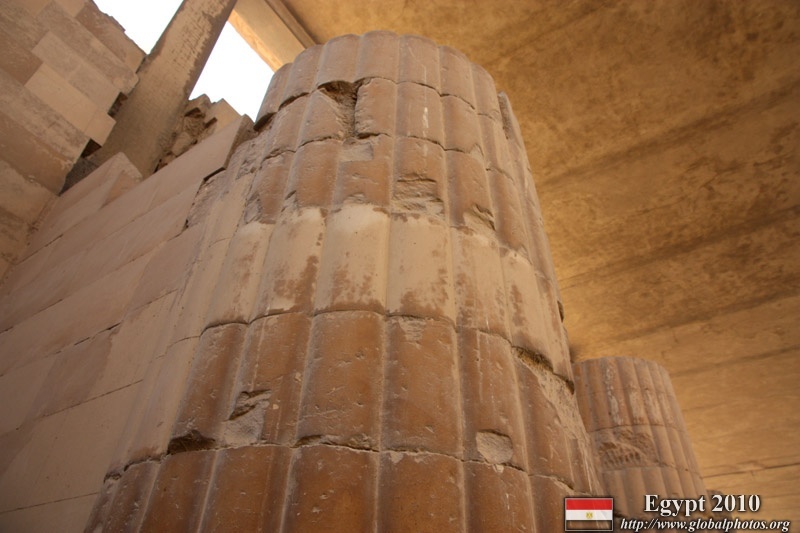 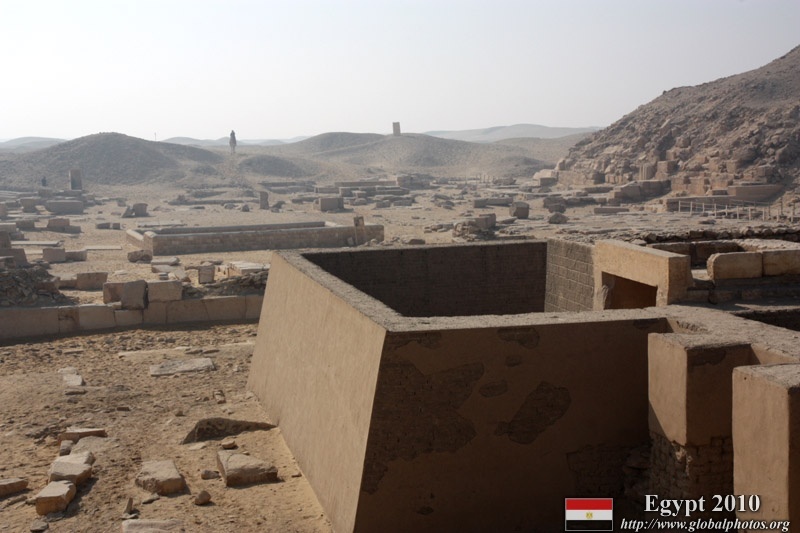 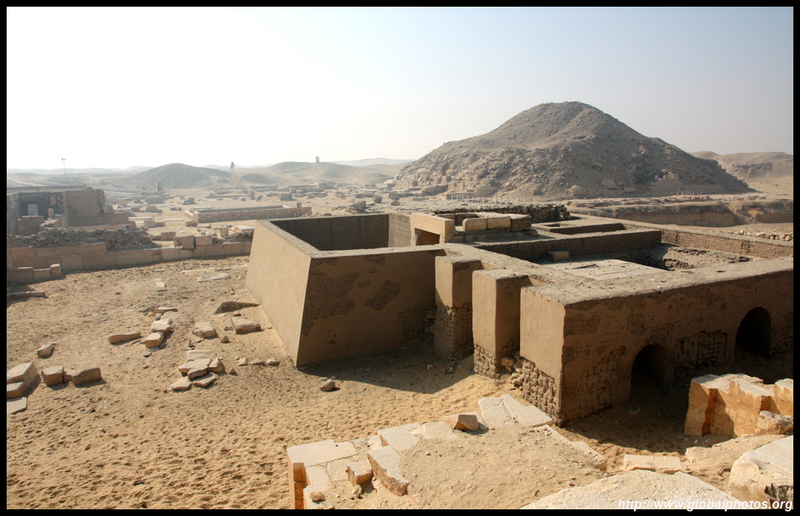 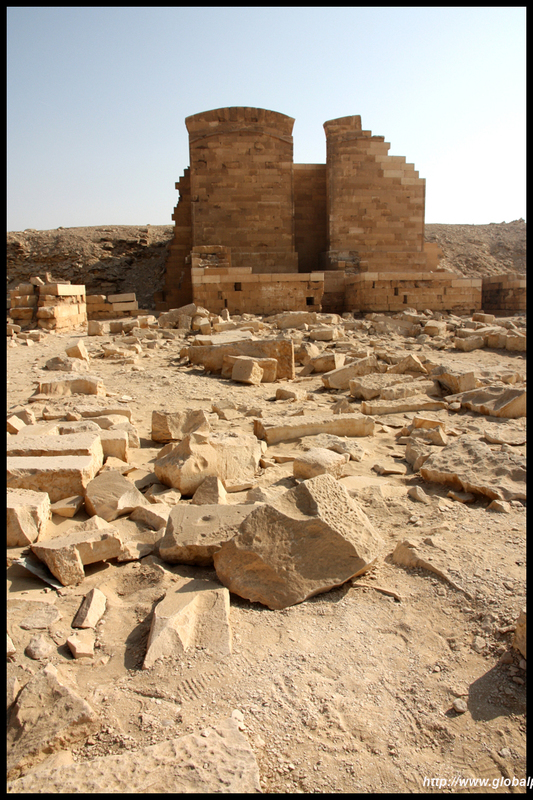 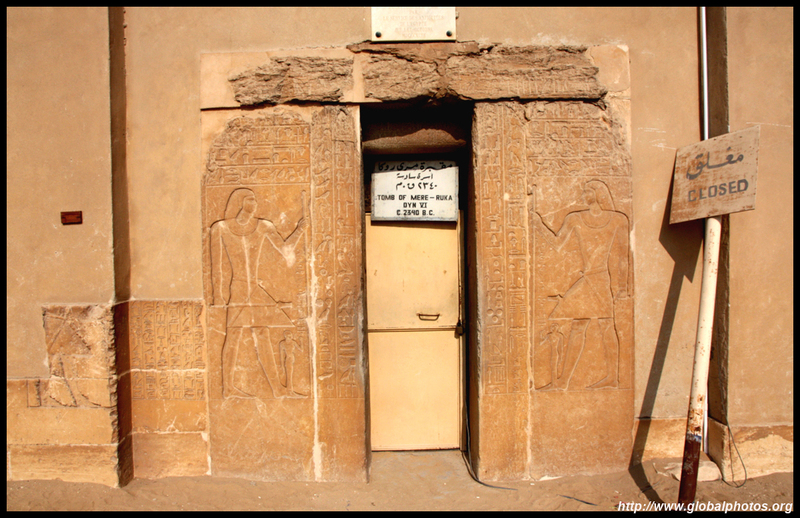 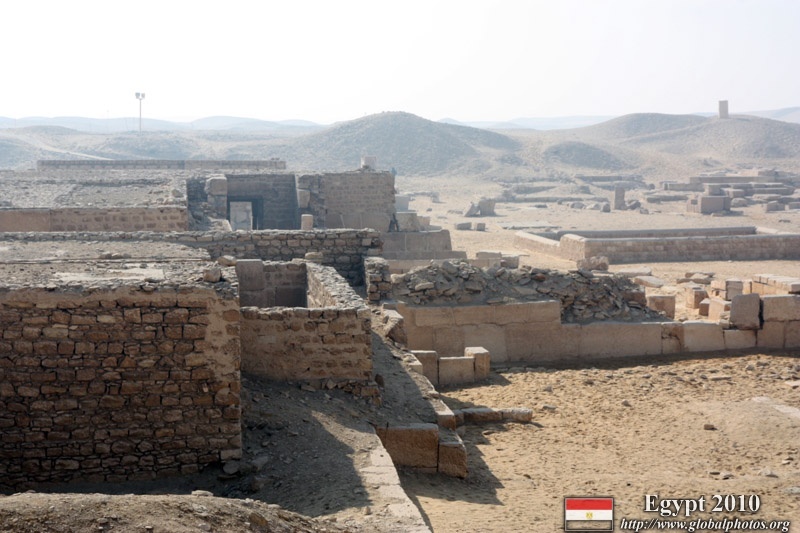 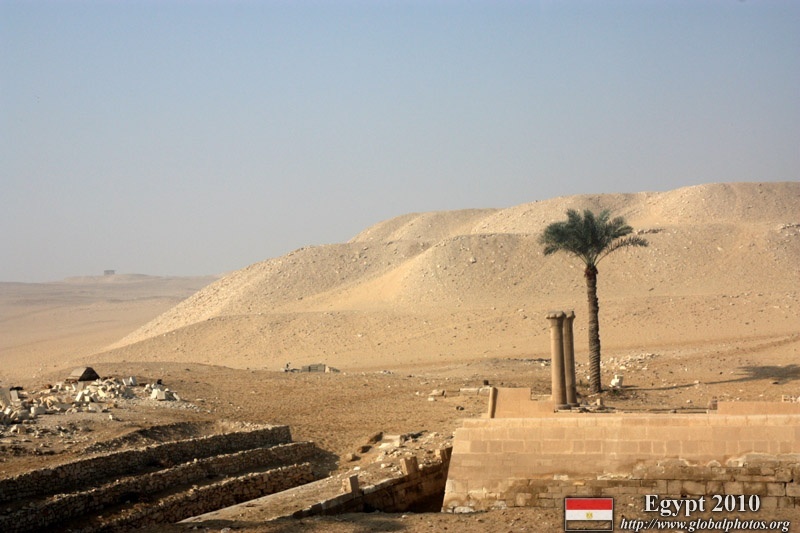 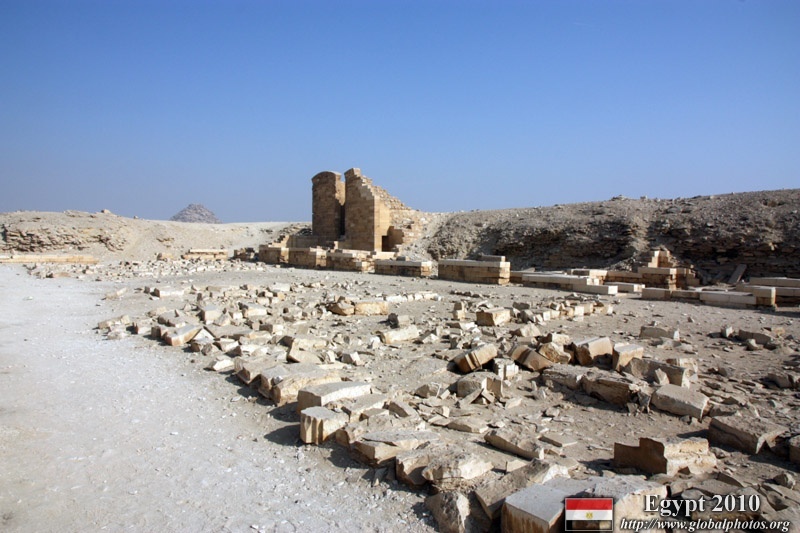 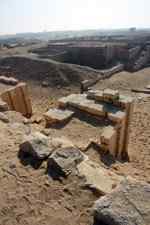 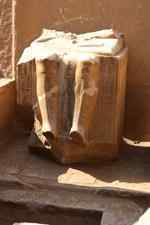 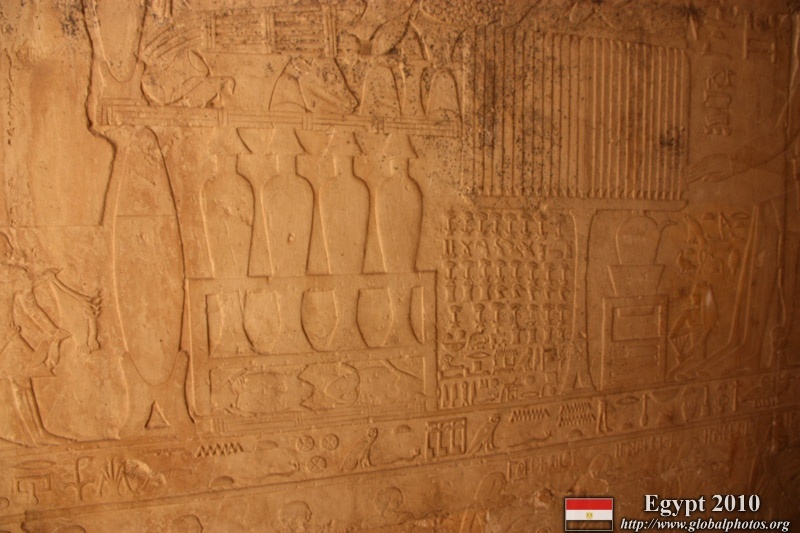 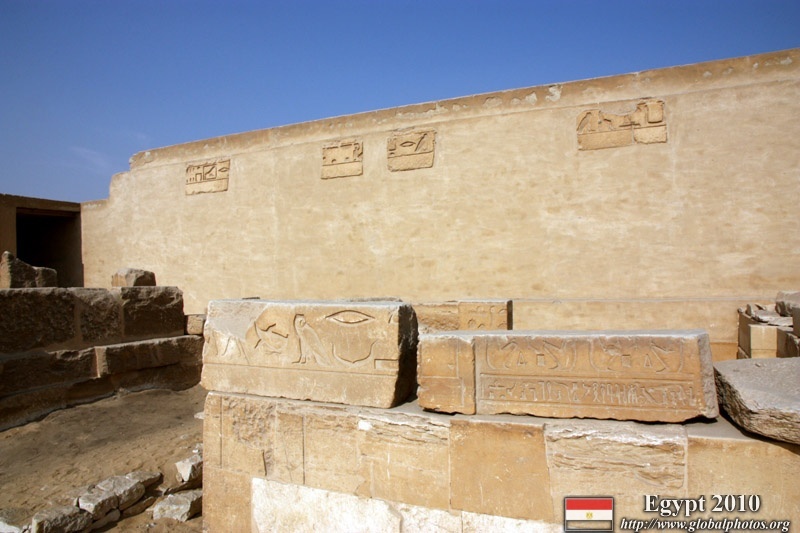 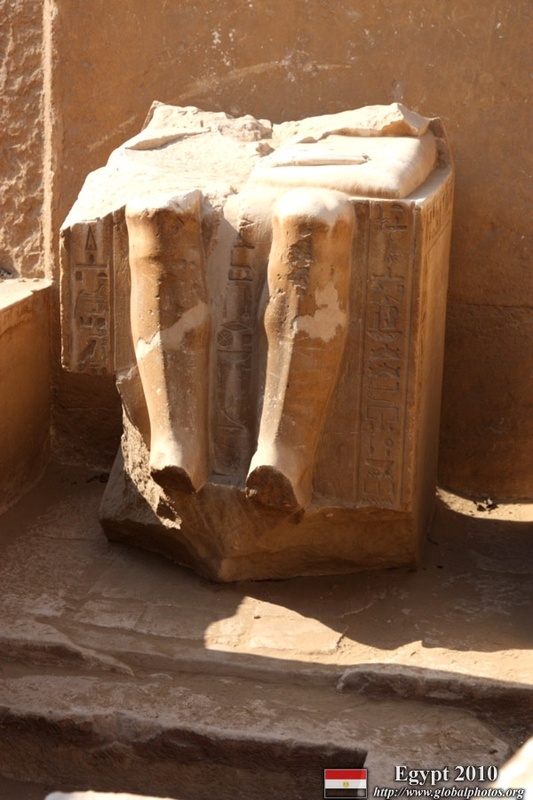 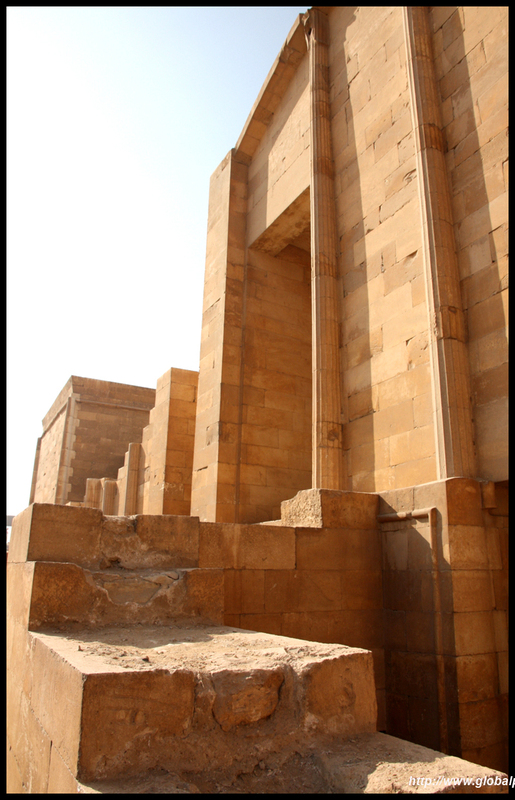 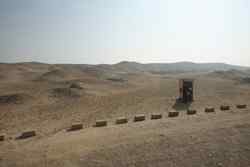 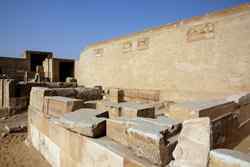 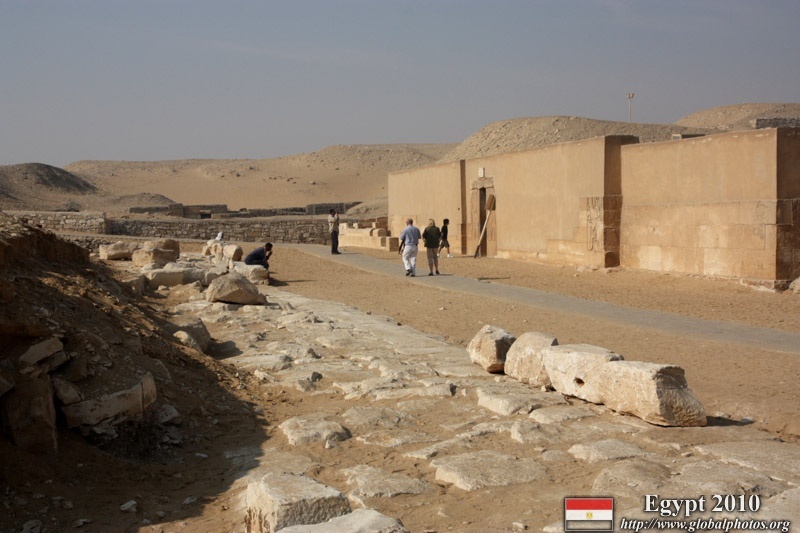 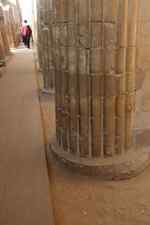 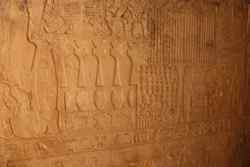 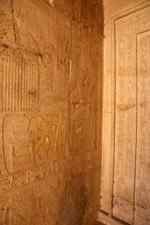 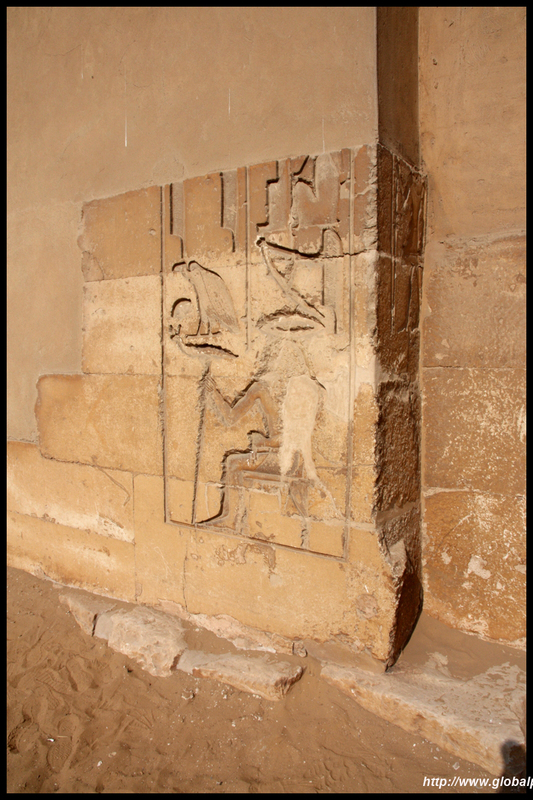 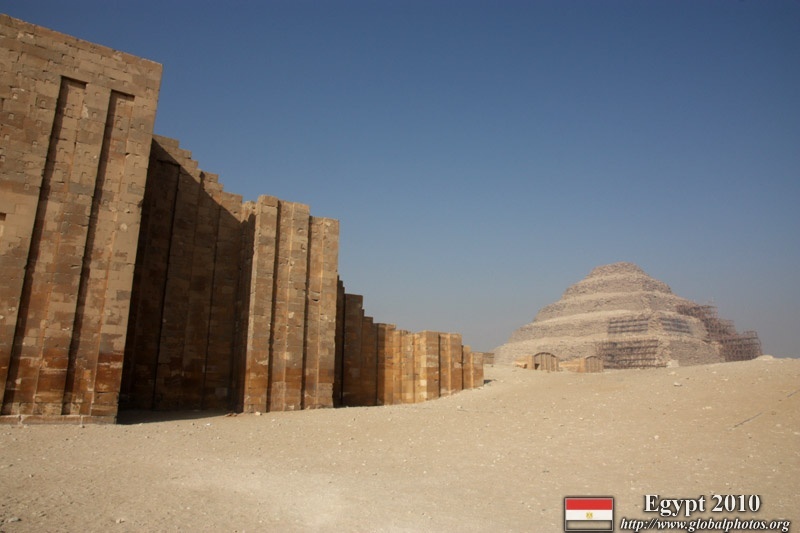 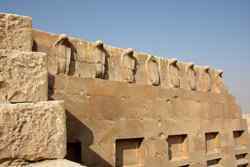 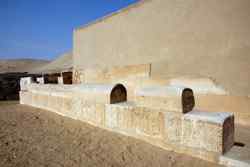 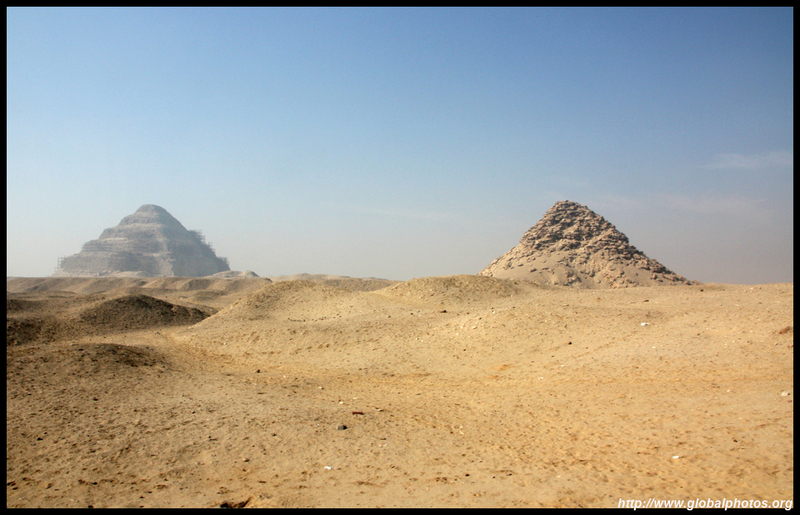 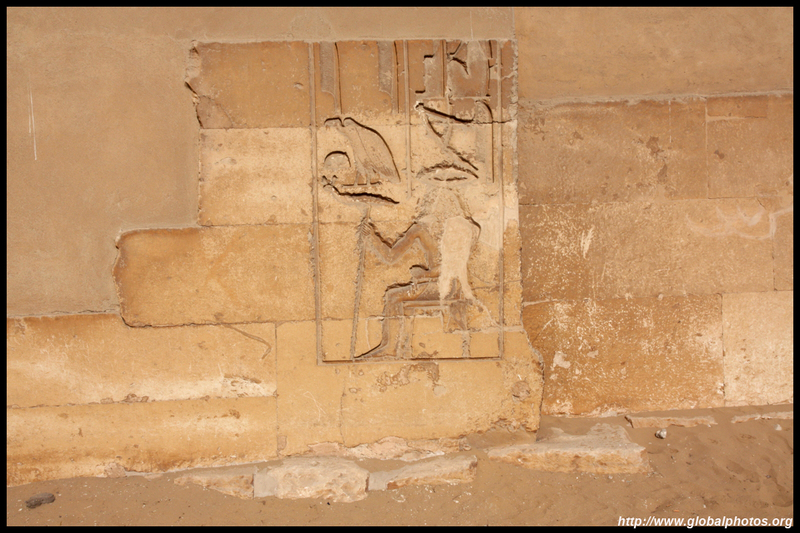 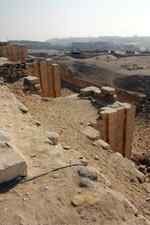 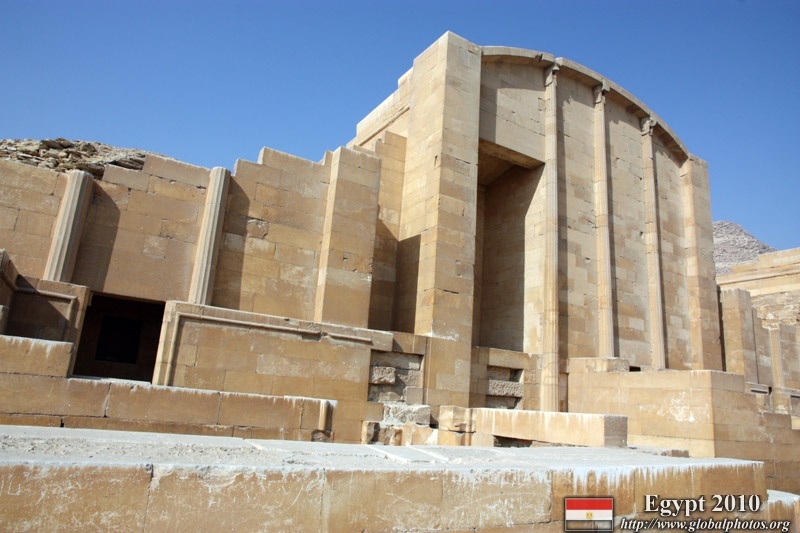 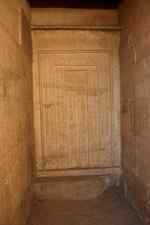 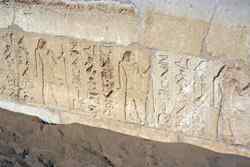 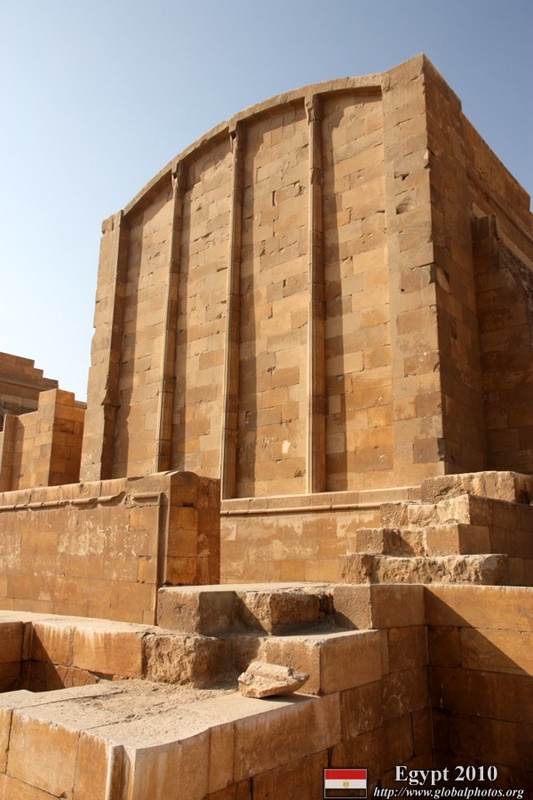 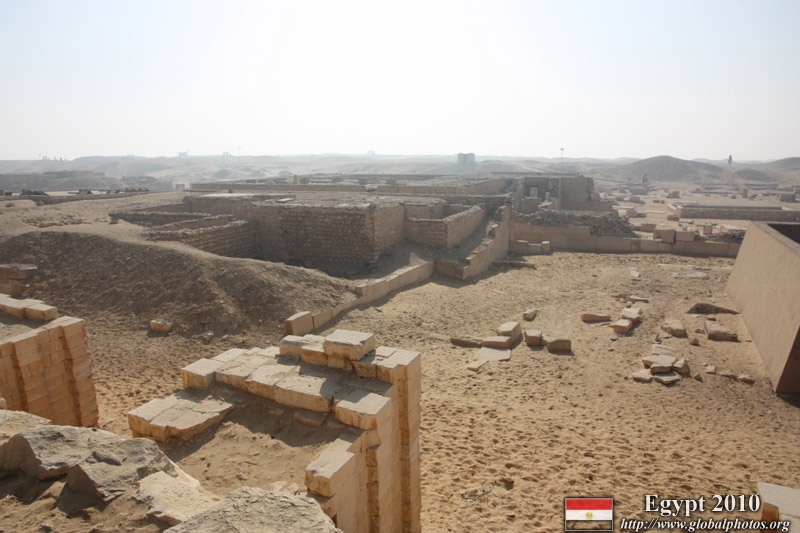 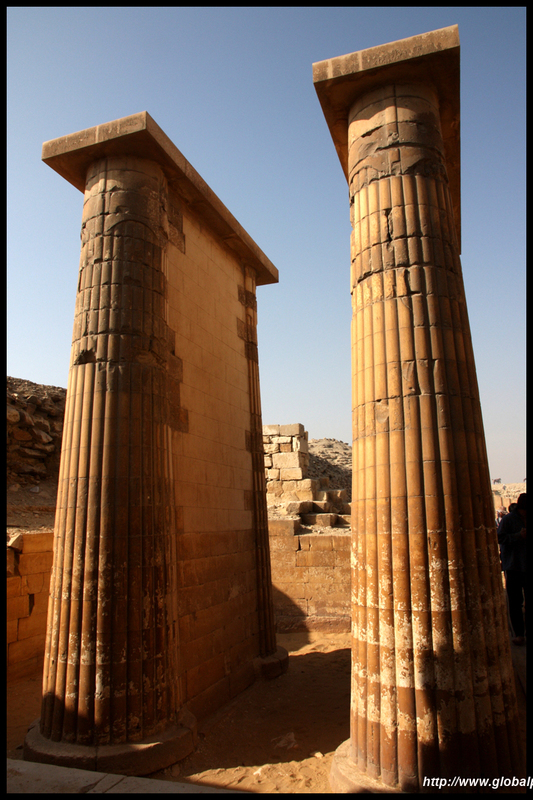 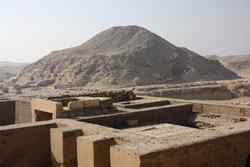 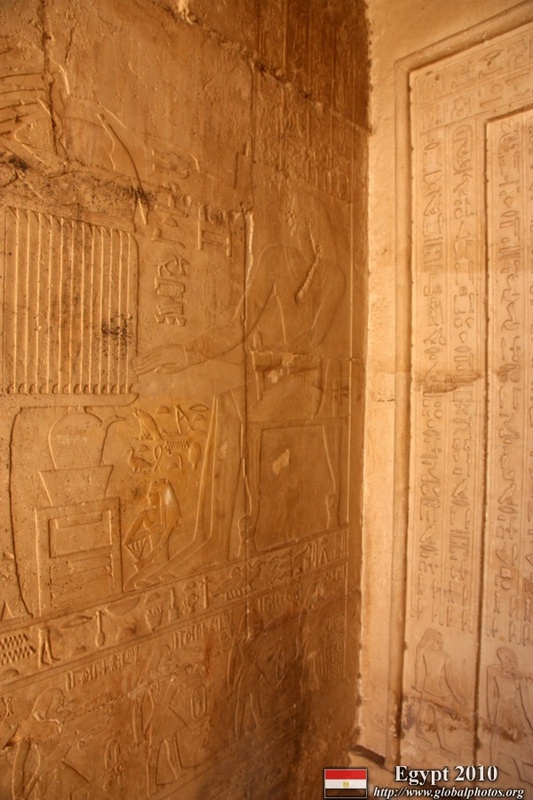 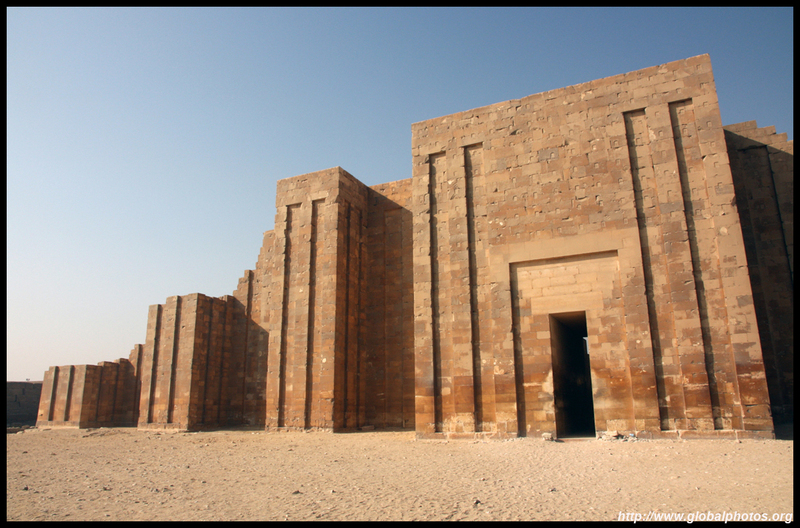 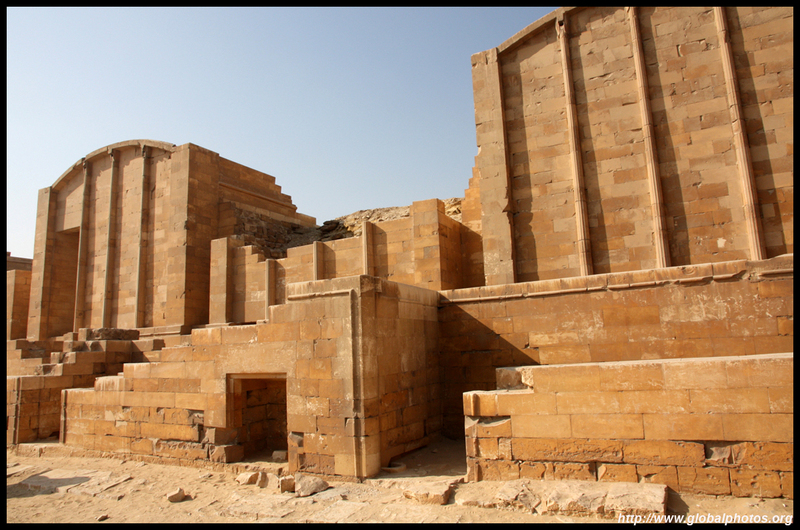 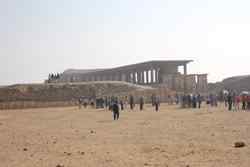 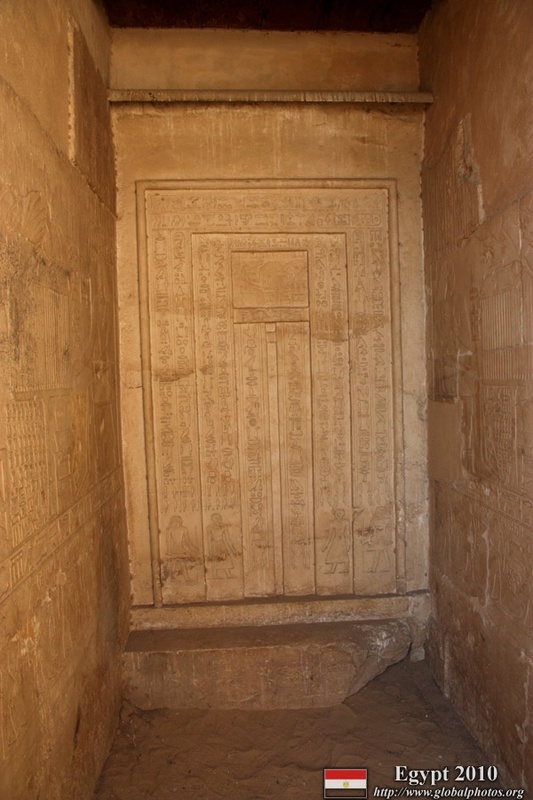 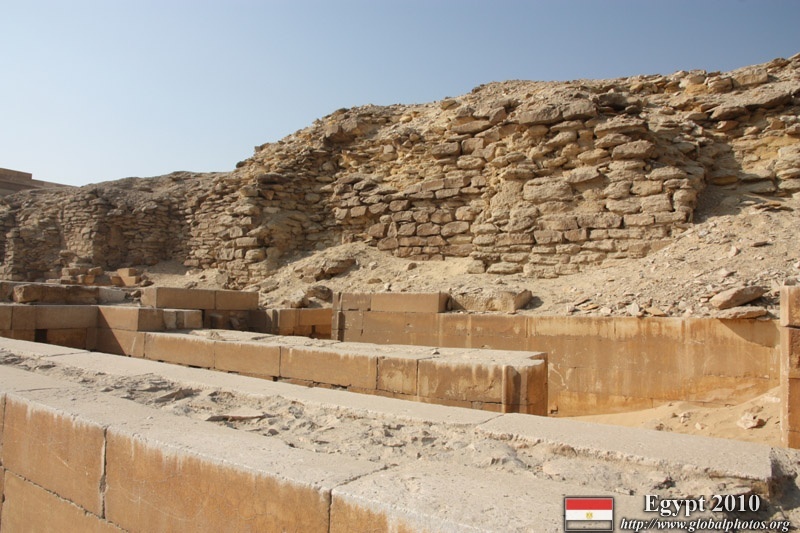 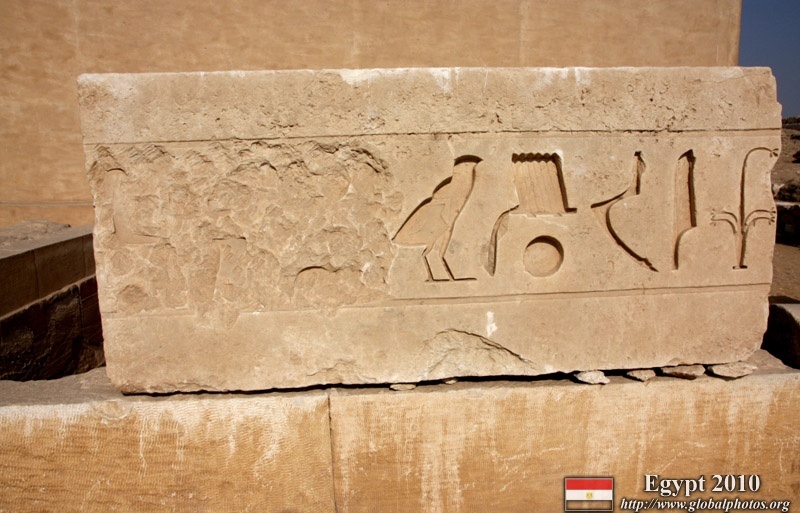 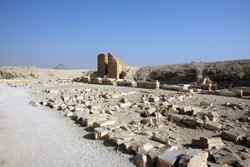 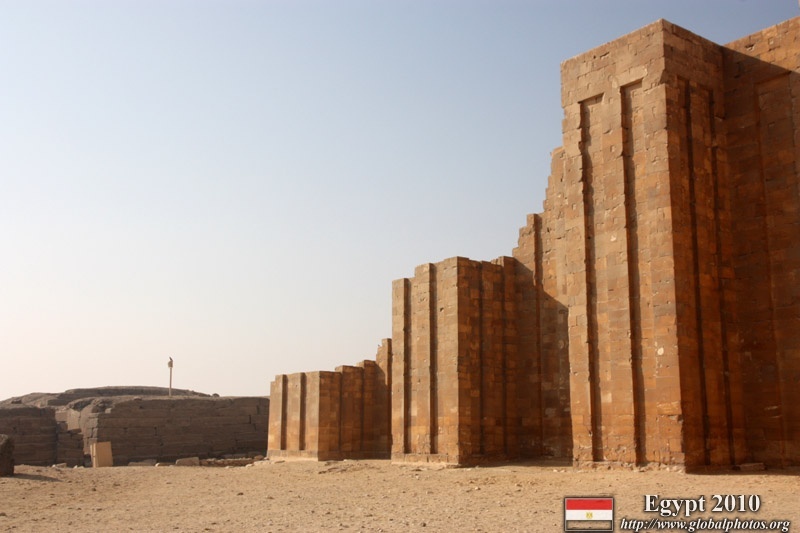 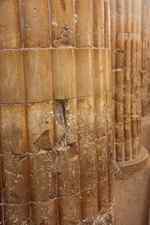 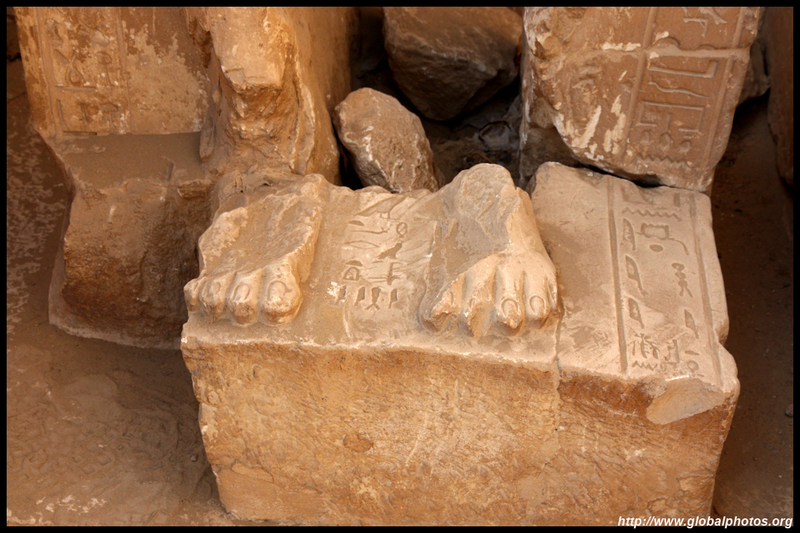 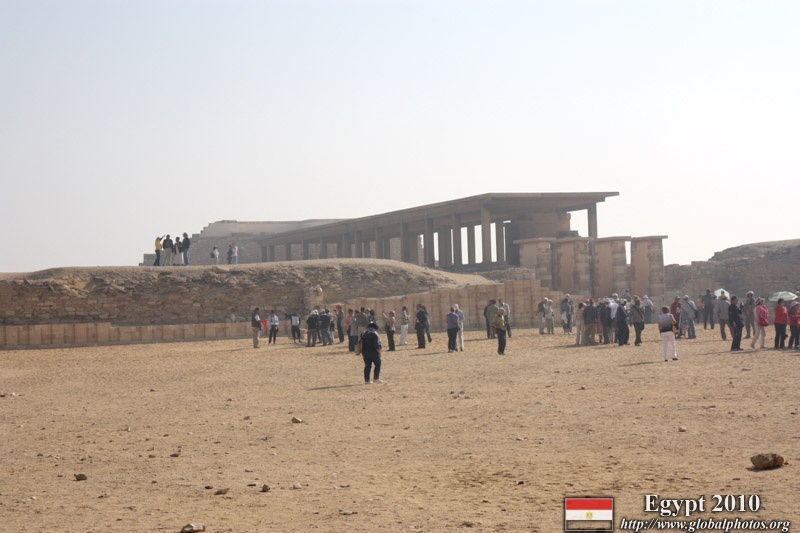 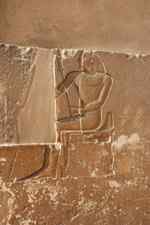 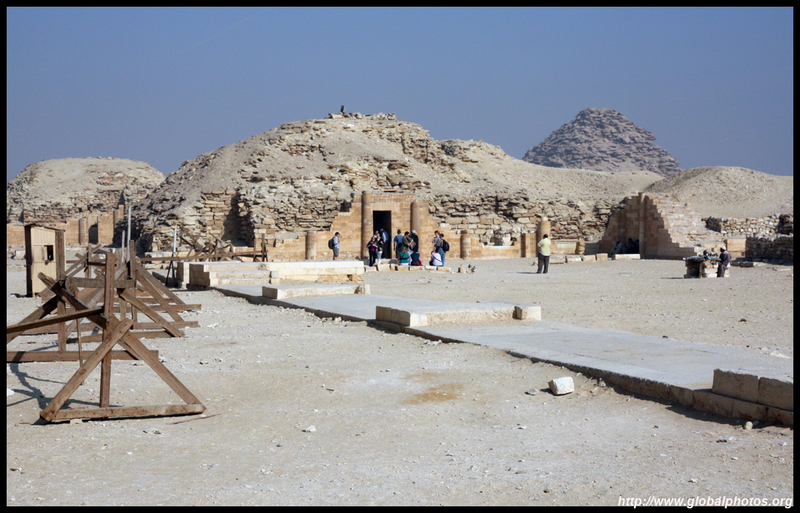 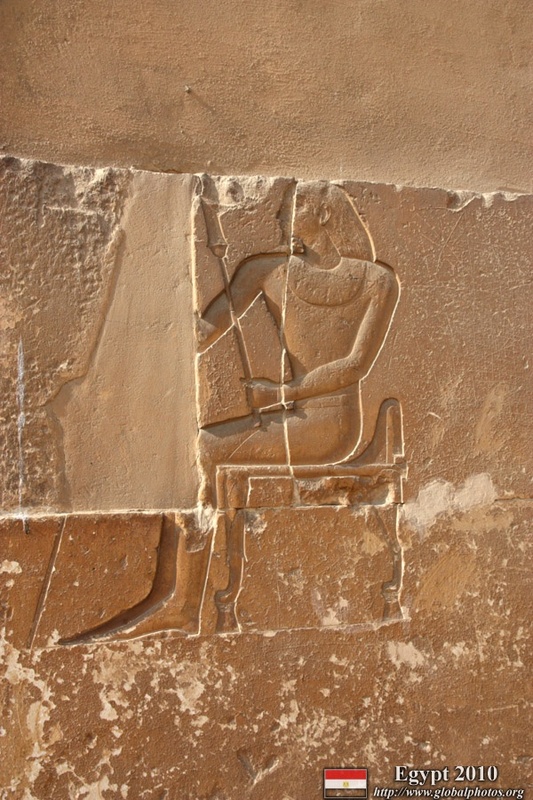 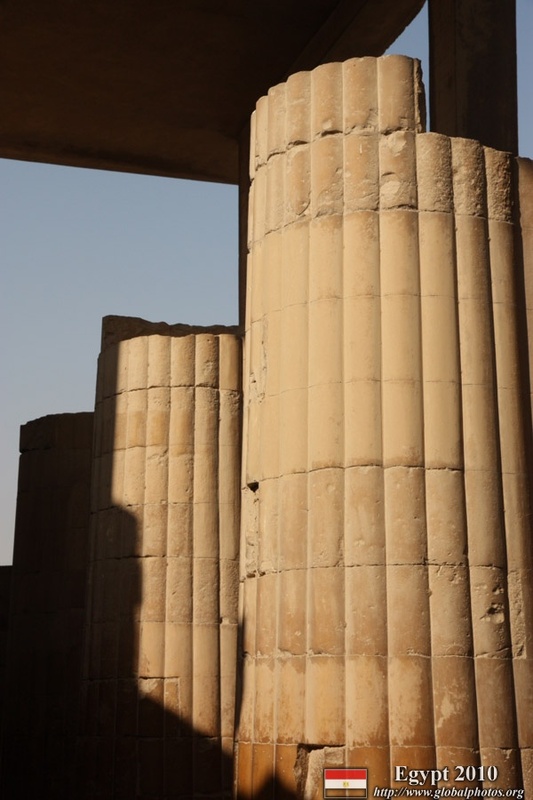 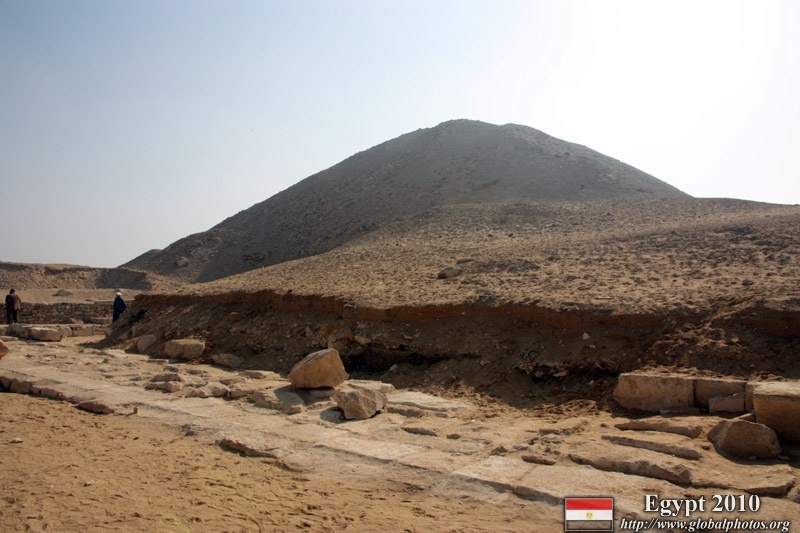 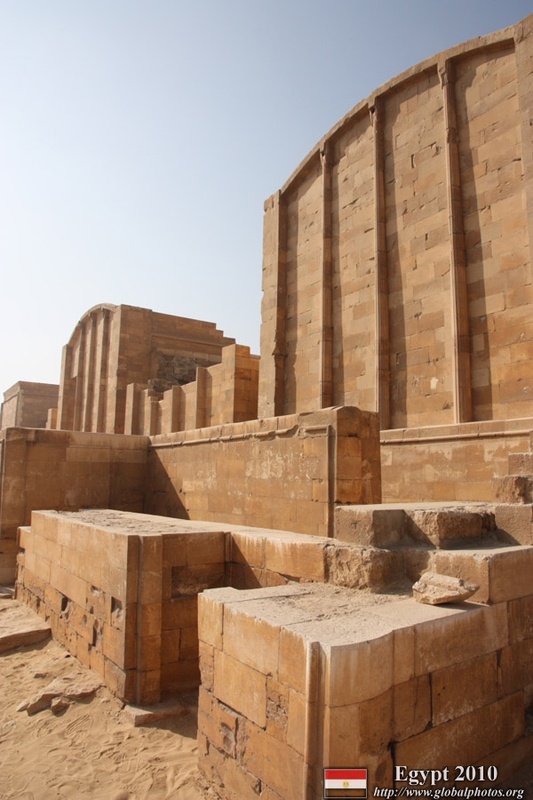 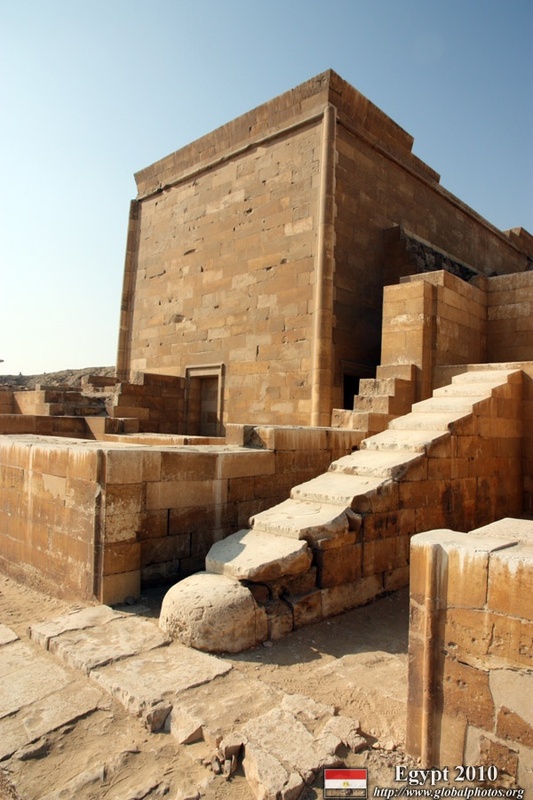 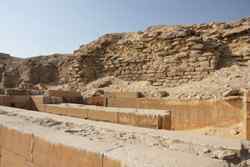 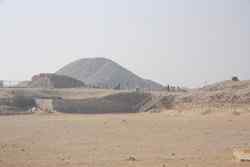 Located only about 25 km south of Cairo, Saqqara is a desert necropolis built for the Old Kingdom nobles. 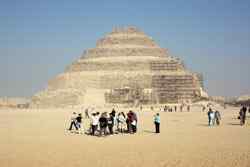 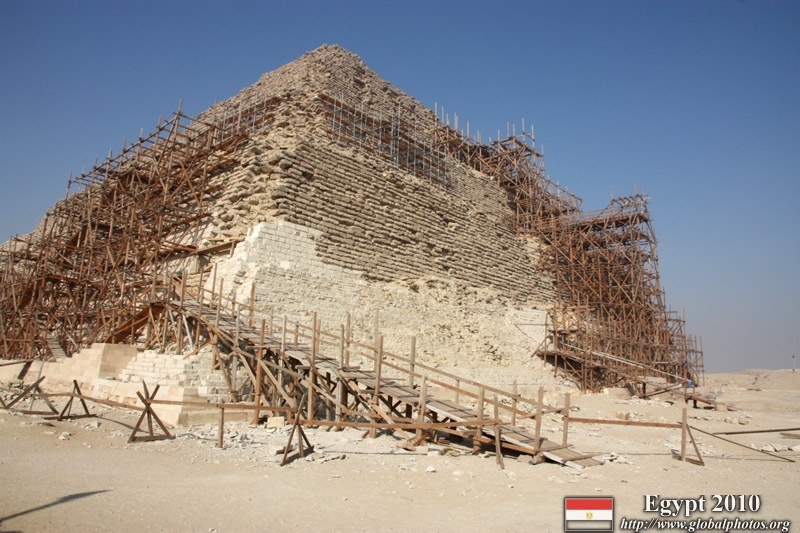 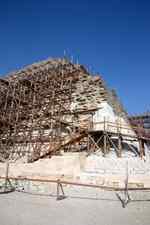 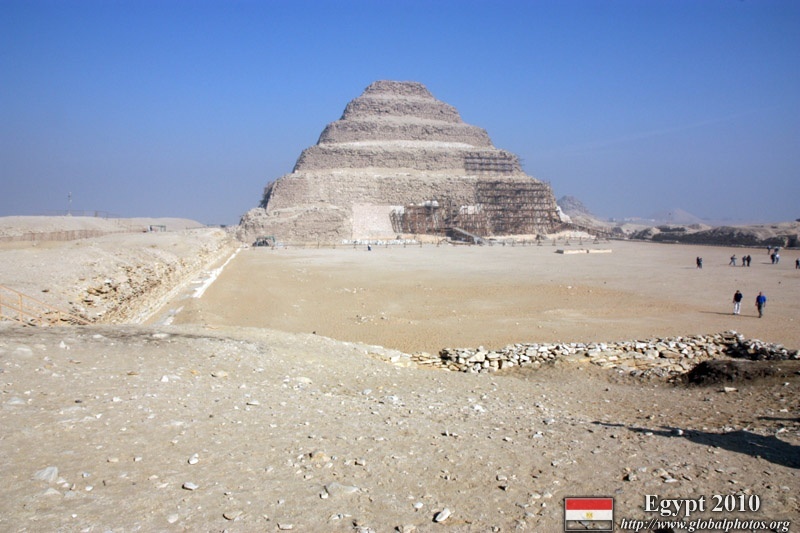 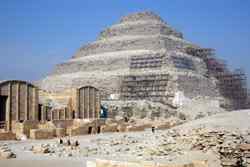 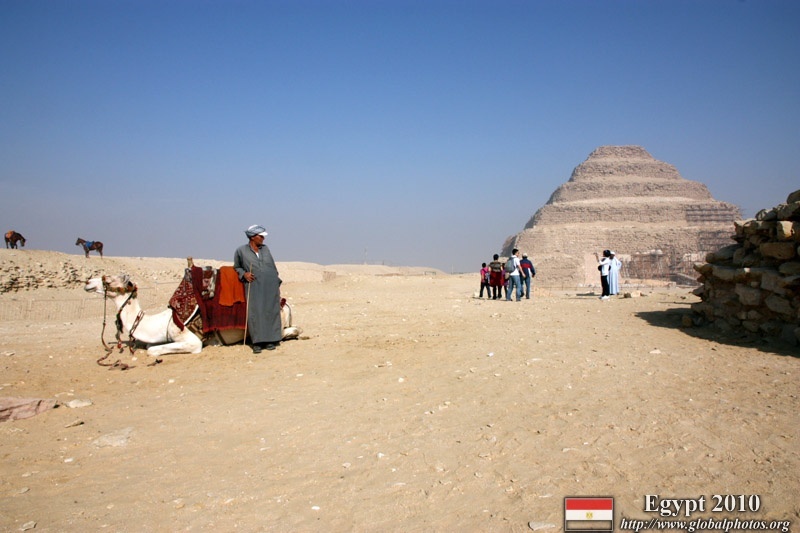 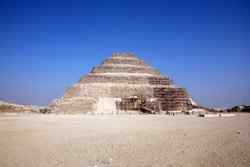 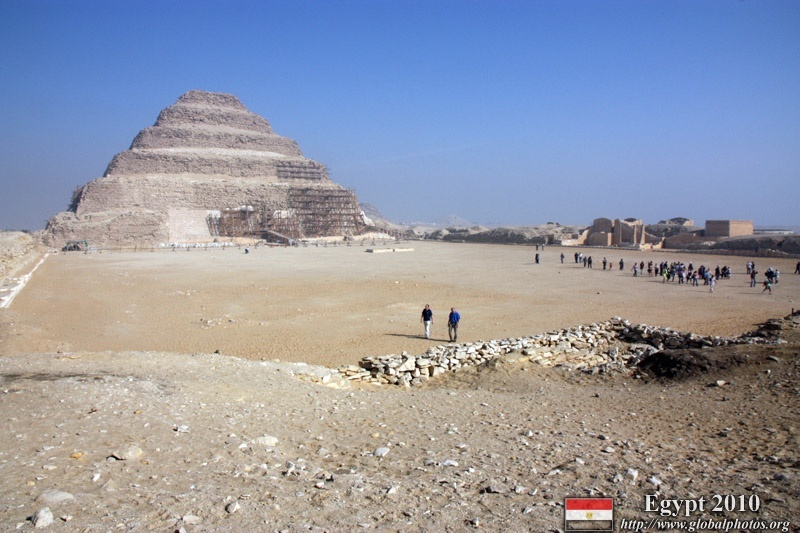 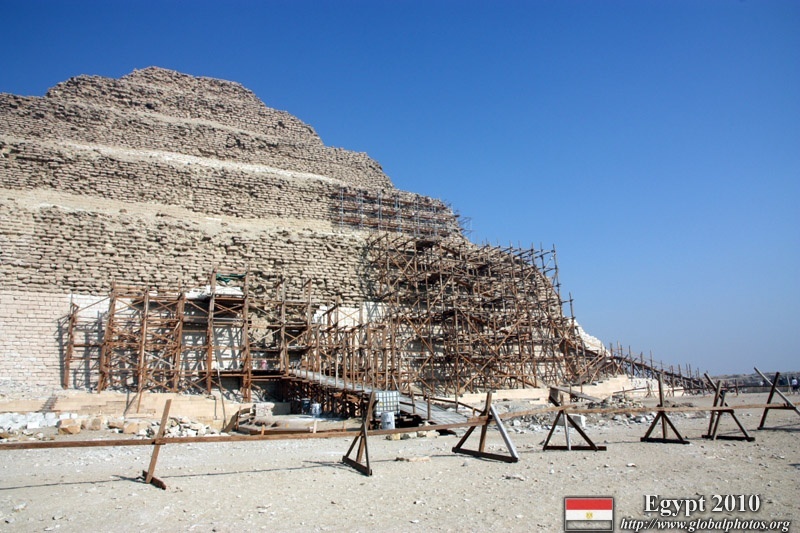 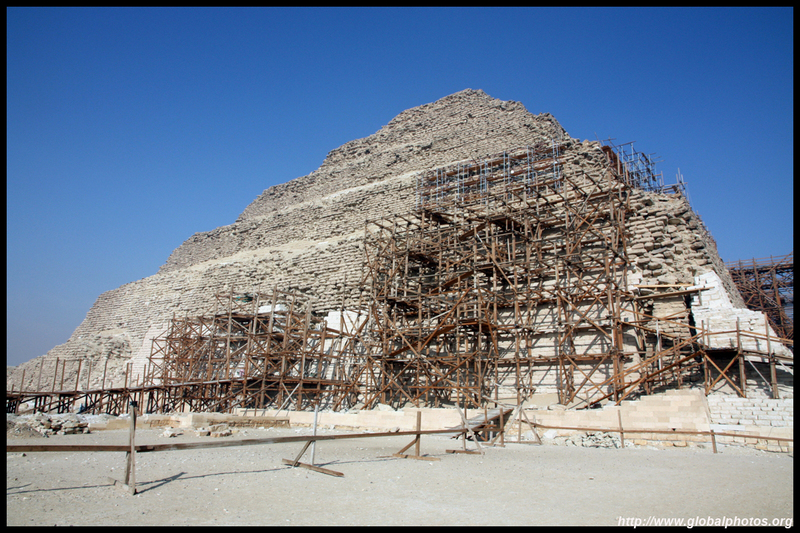 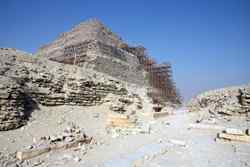 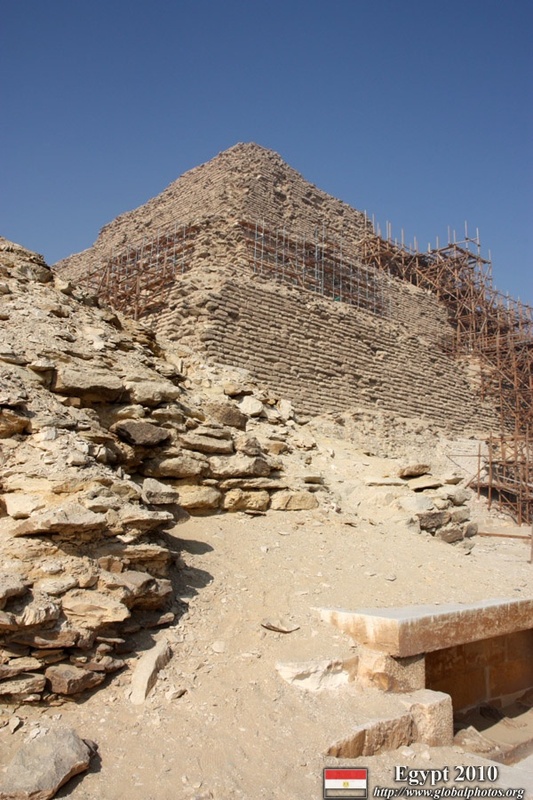 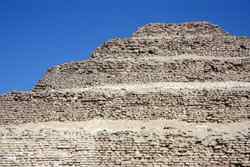 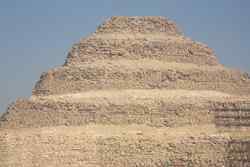 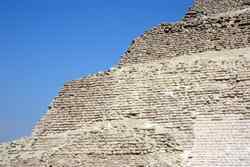 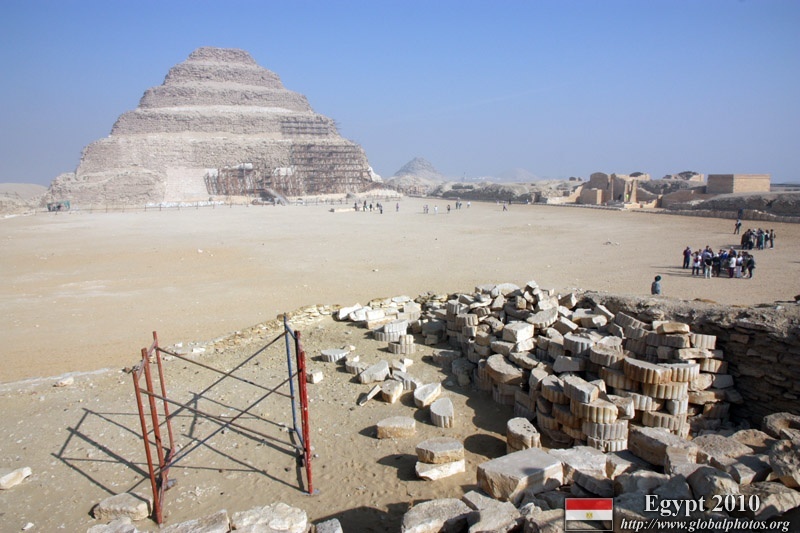 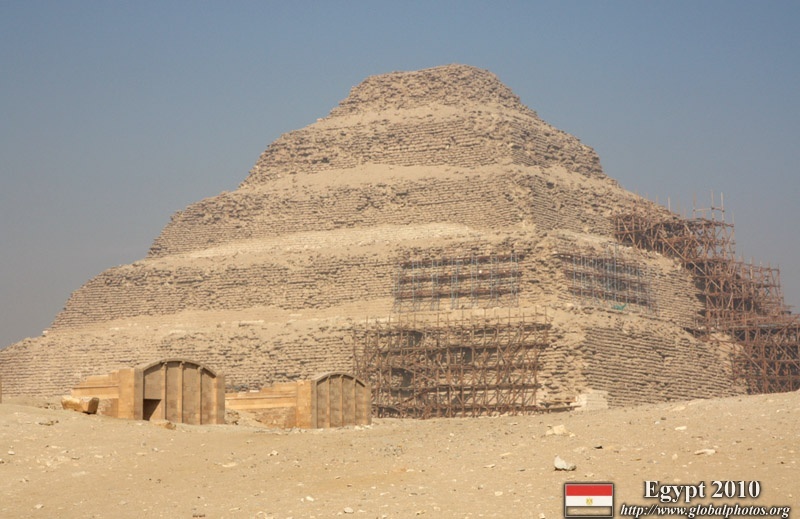 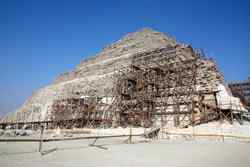 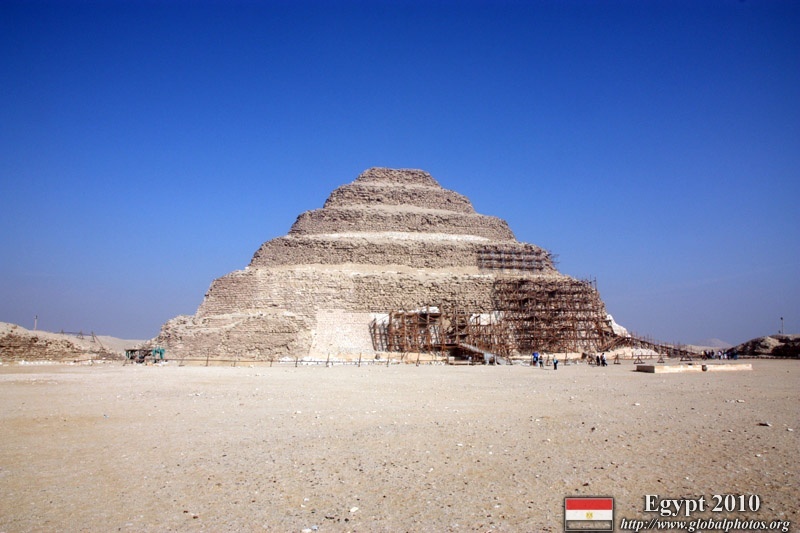 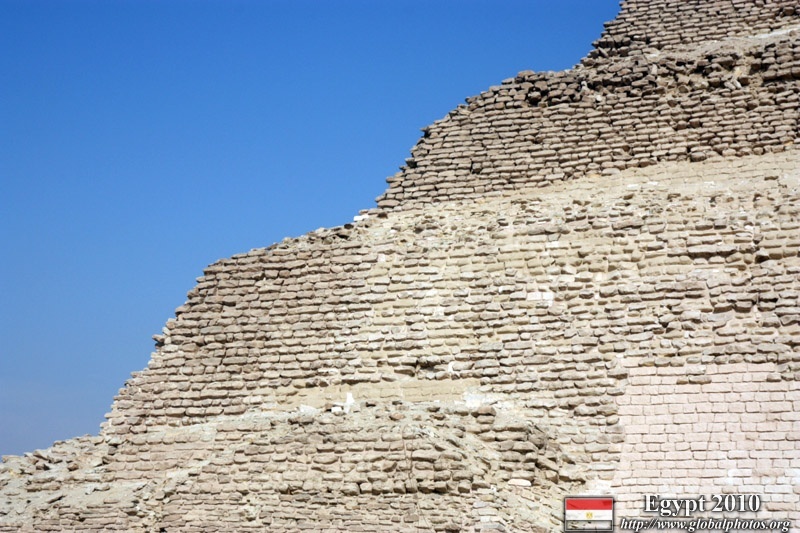 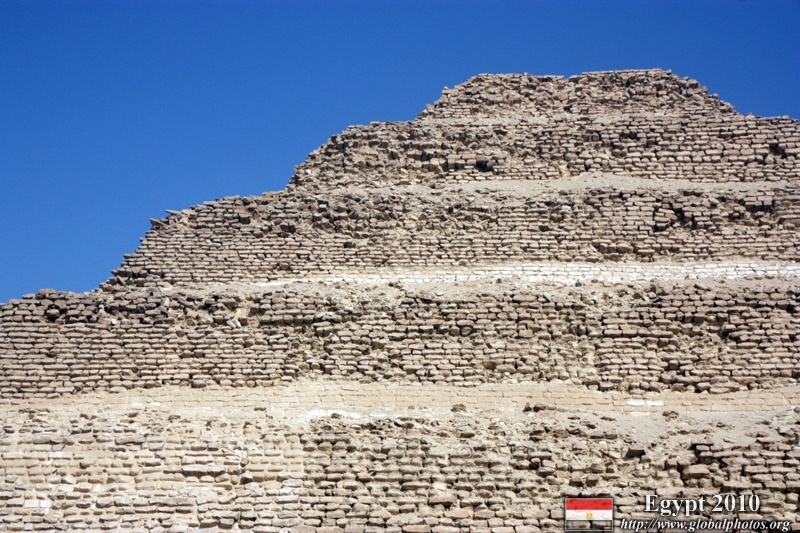 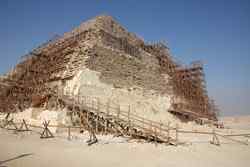 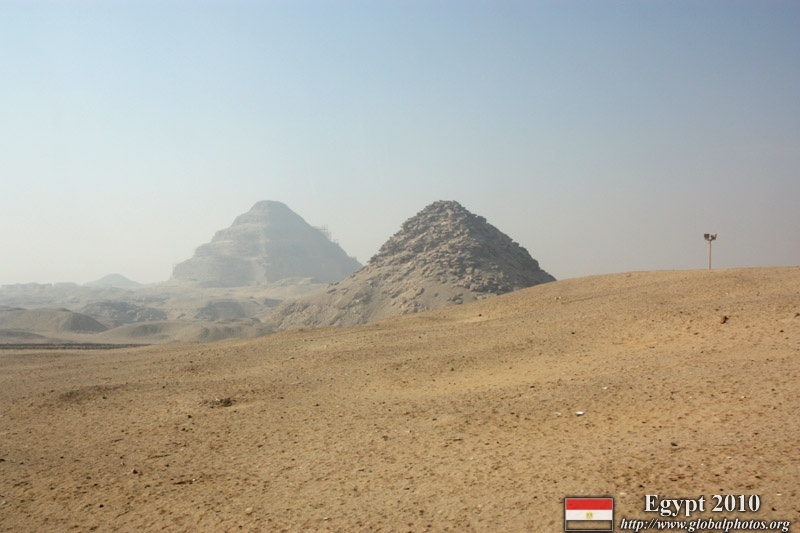 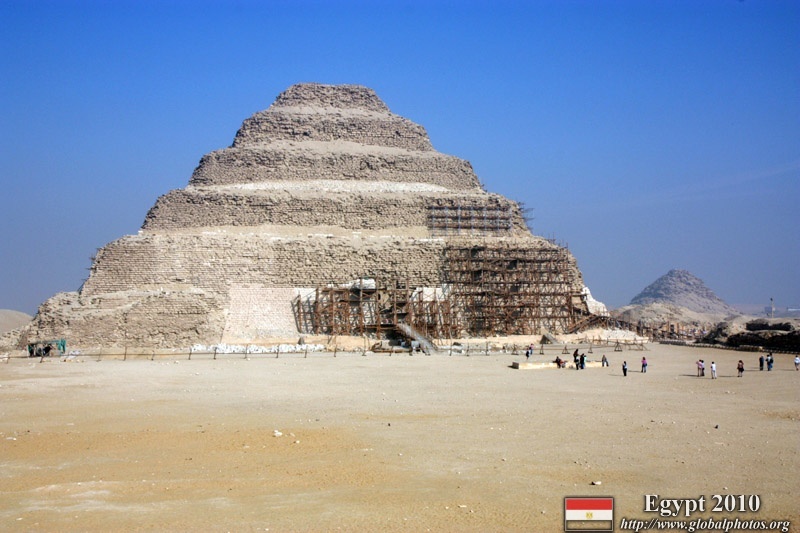 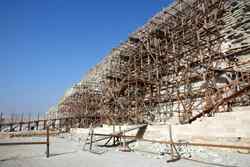 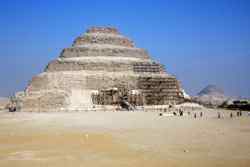 The Step Pyramid is the first pyramid ever built in Egypt. 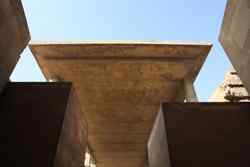 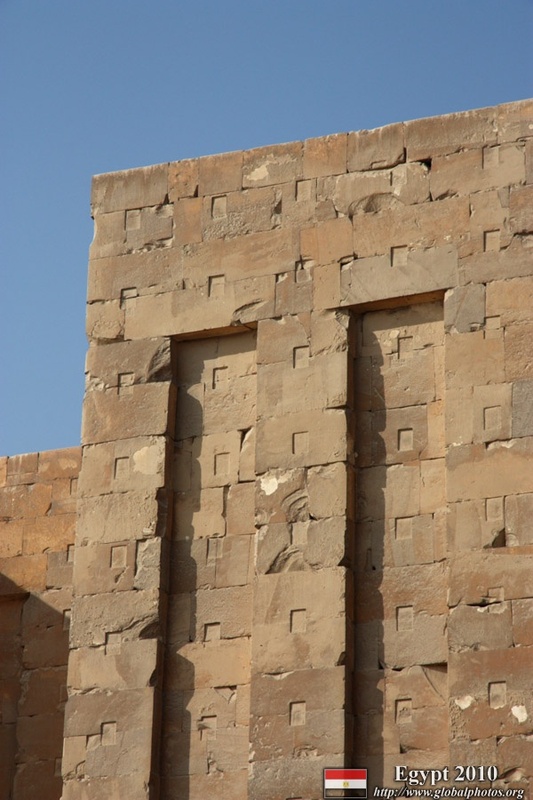 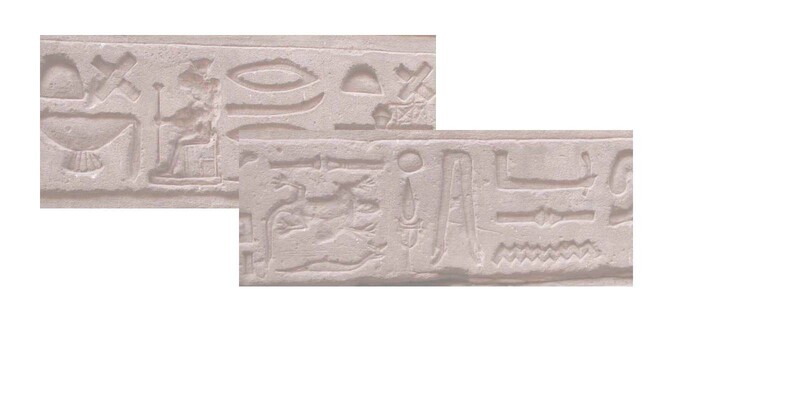 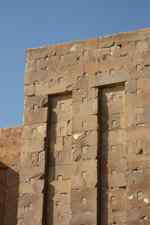 It consists of five rectangles, each smaller than the previous, to create a pyramid-like effect. 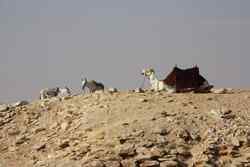 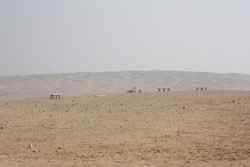 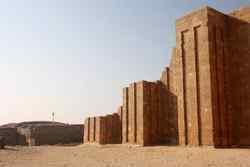 It seemed eeringly tall in the desert landscape, although nowadays it is hardly lonely with so many hawkers, tourists, camels, and horses. This is indeed a massive structure in the middle of the desert. 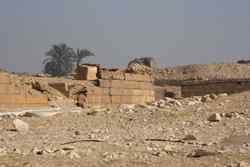 Meanwhile, there were also plenty of other smaller buildings in various states of ruin. 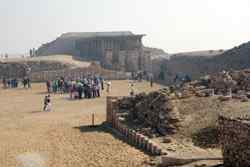 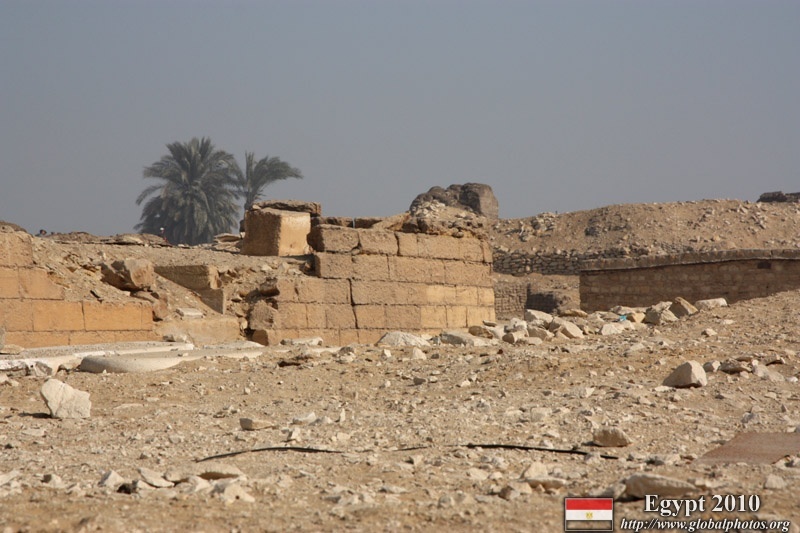 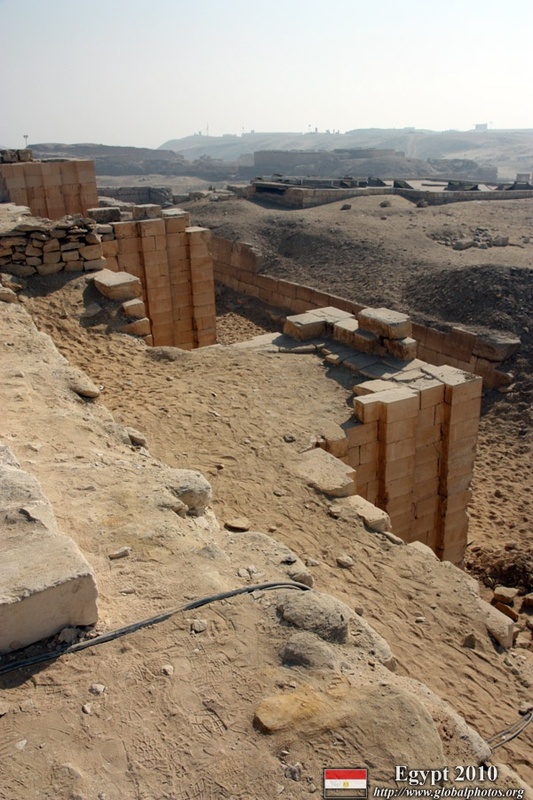 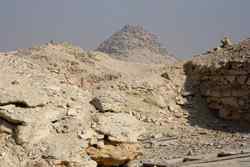 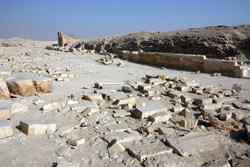 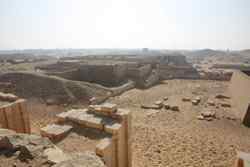 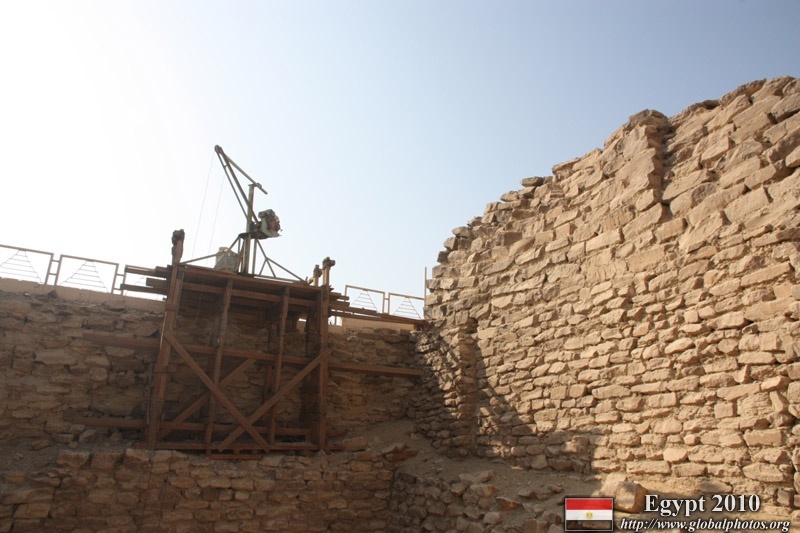 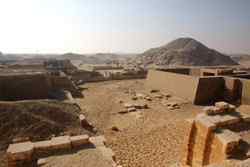 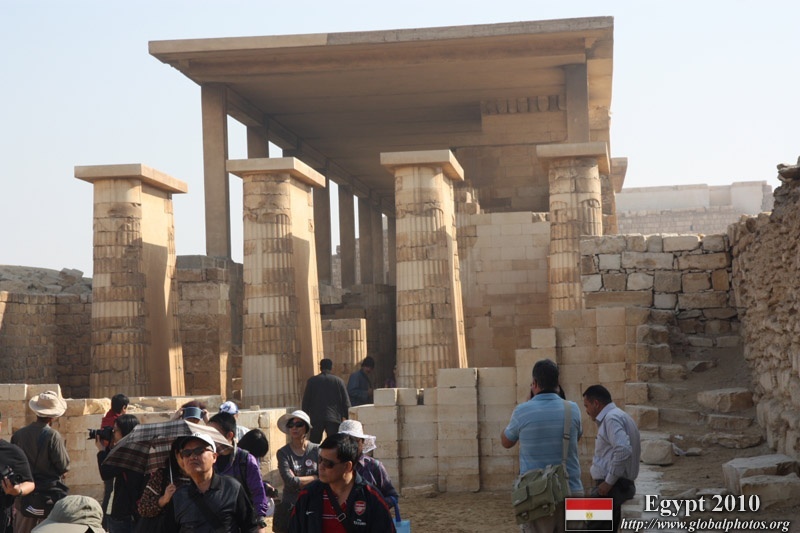 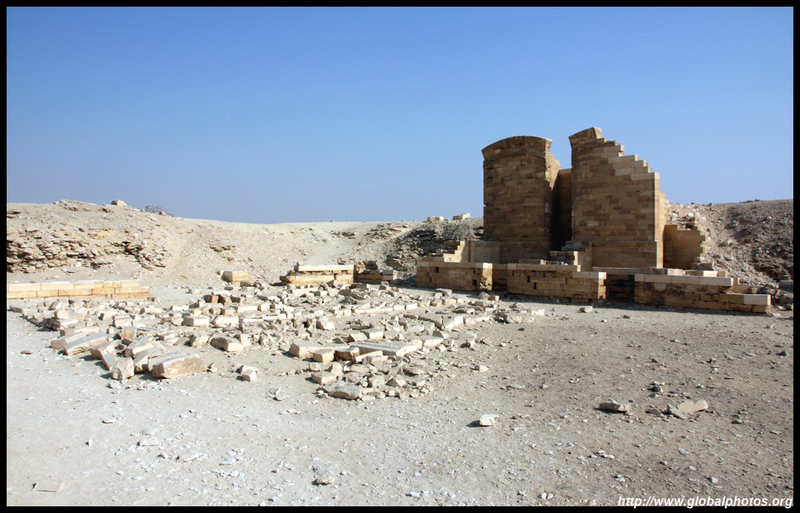 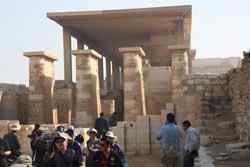 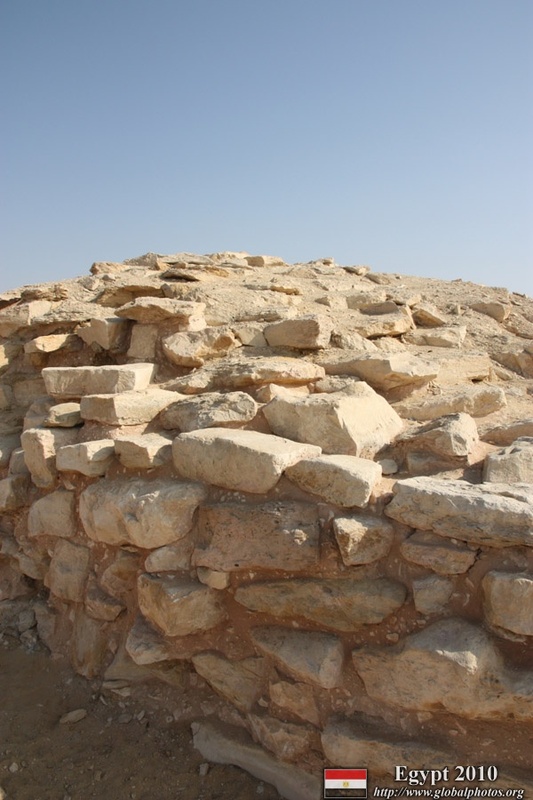 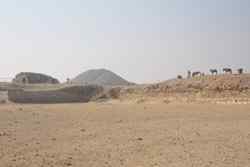 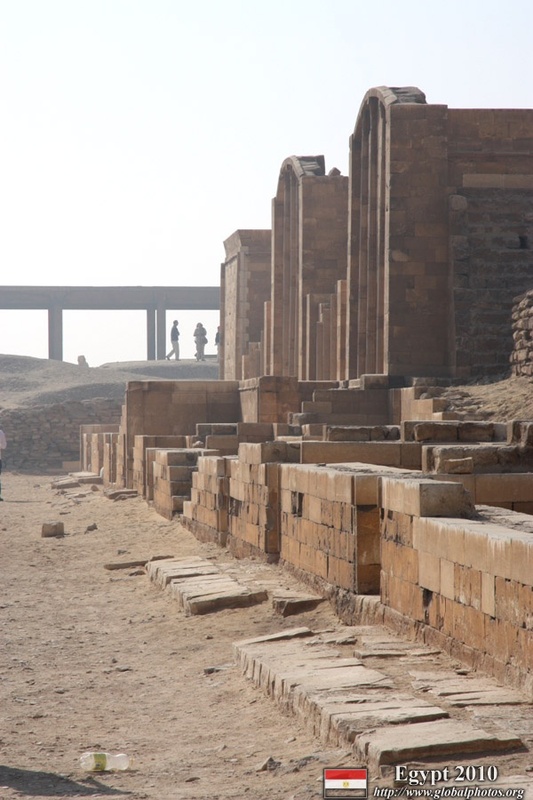 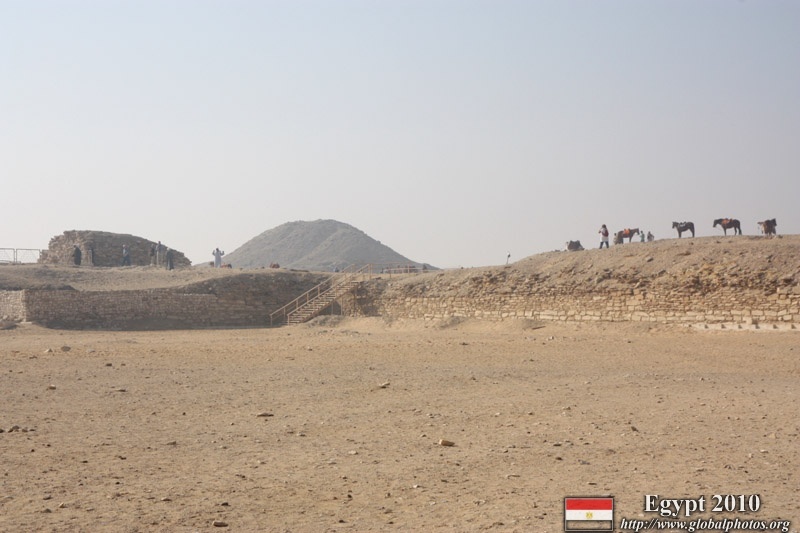 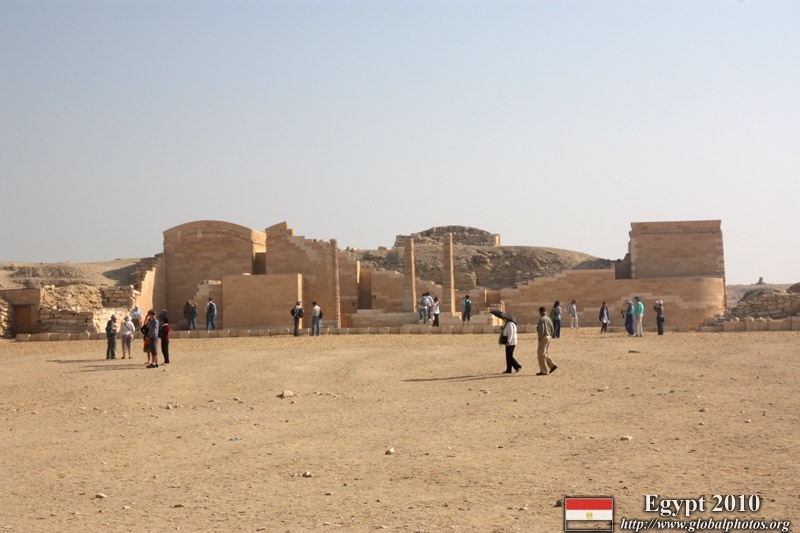 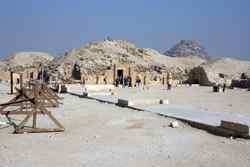 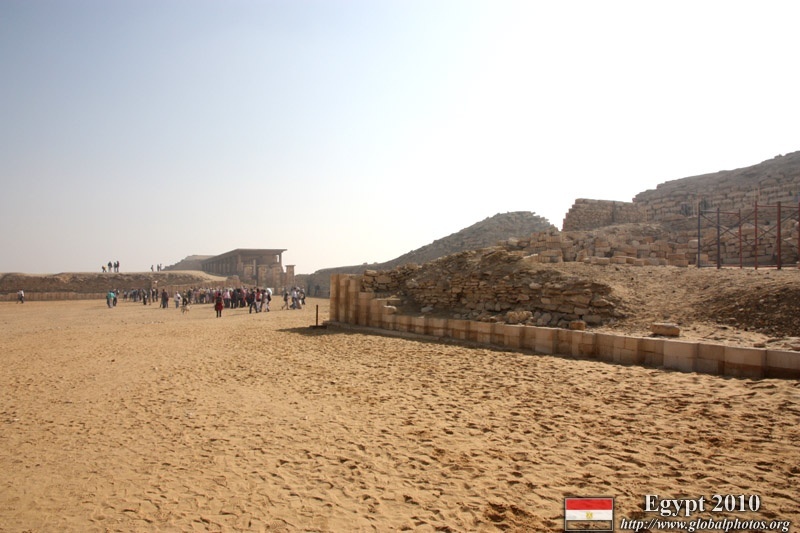 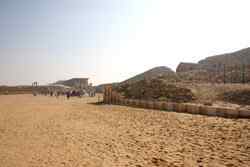 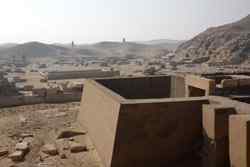 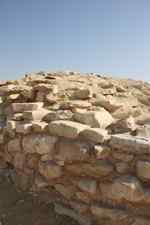 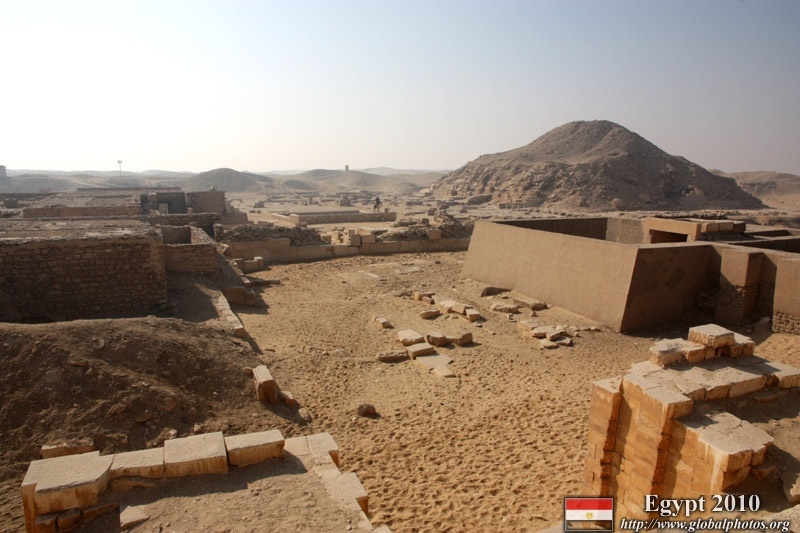 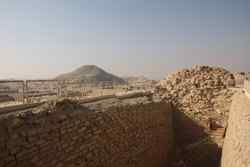 Although there were a lot of ruins within the immediate vicinity of the Step Pyramid, there were also others lying in another direction away from the site. 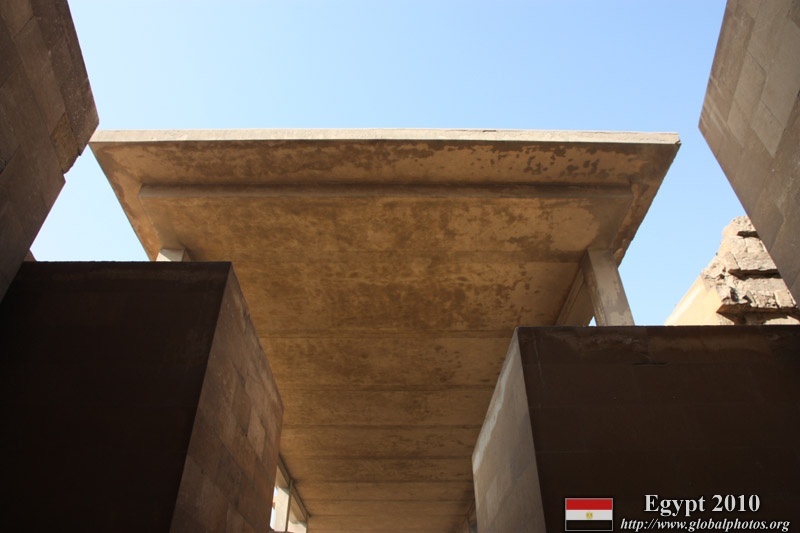 Don't forget to look the other way from the elevated viewing area. 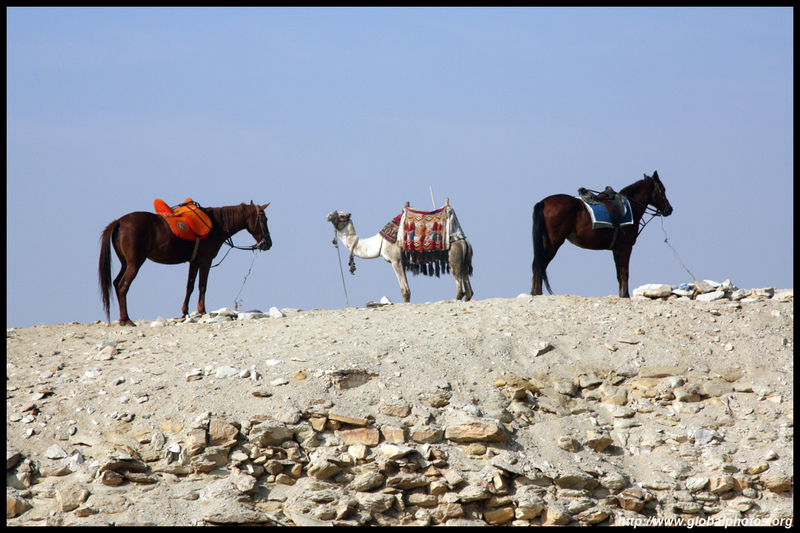 There weren't many takers for a camel or horse ride today. 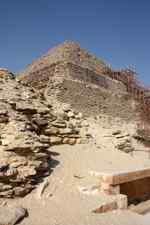 Another pyramid lies near the Step Pyramid. 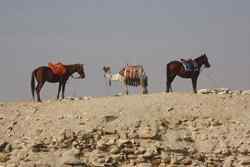 It was a quick ride down the desert. 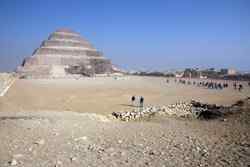 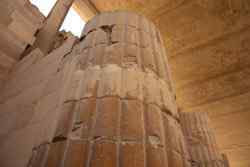 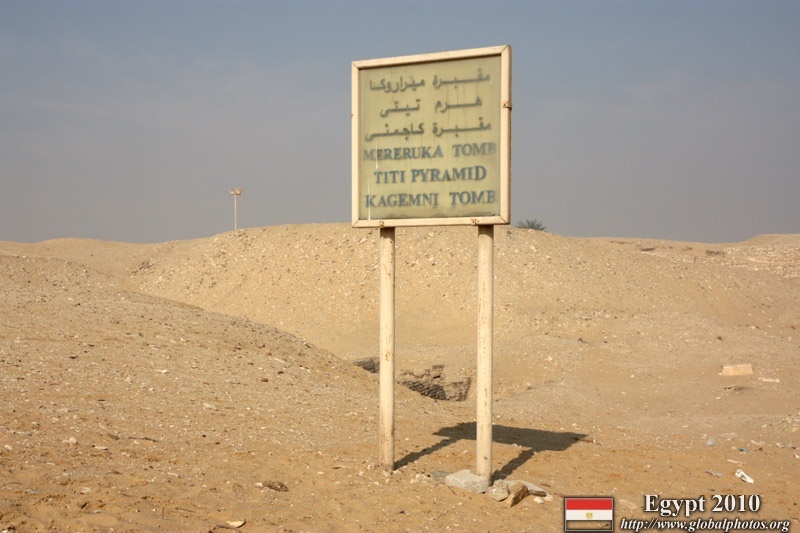 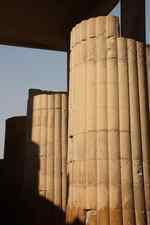 The Pyramid of Teti is open to visitors, albeit the walk down the shaft into a few chambers was not the most comfortable journey. 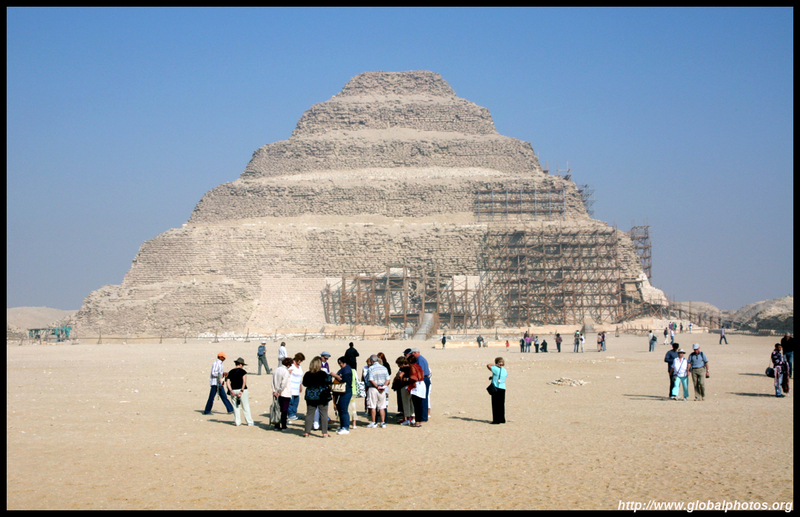 It's hard to believe the pyramid is some 4000 years old. 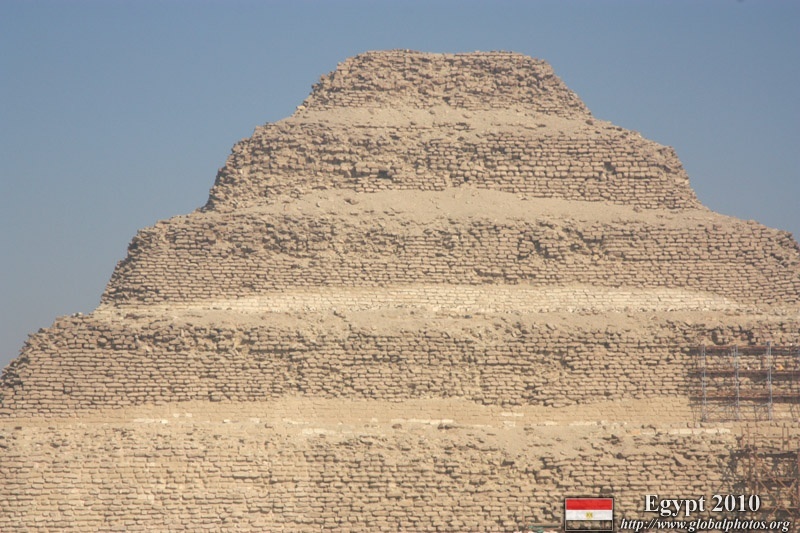 It's a remarkable piece of engineering. 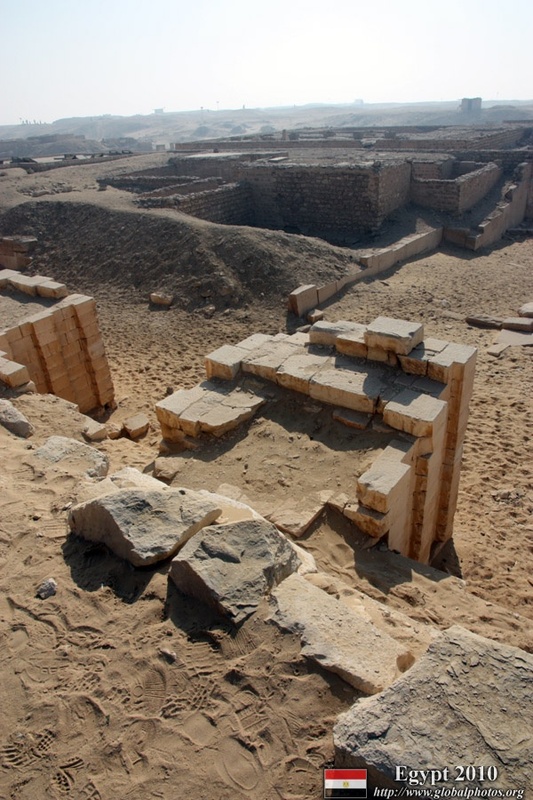 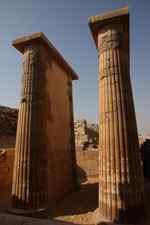 Although only body parts remain, at least something remains from these structures from very long ago.